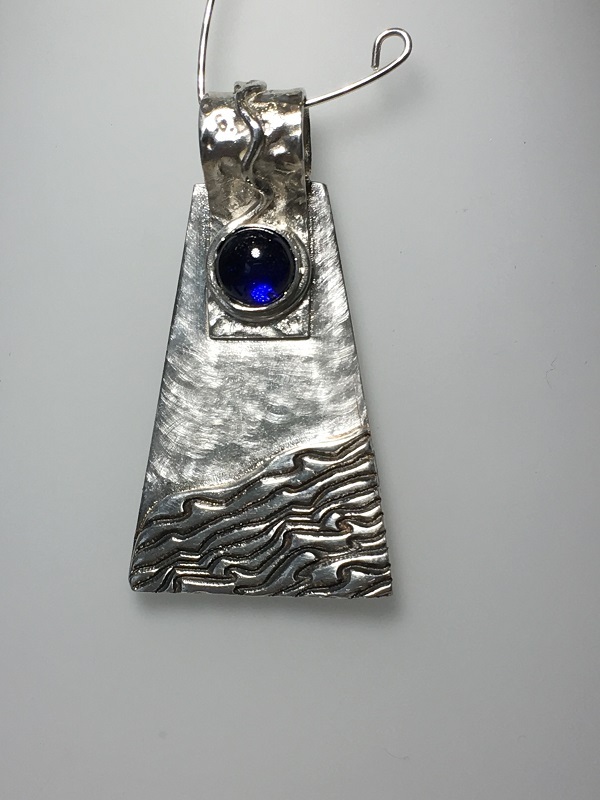 Gabrielle has always been interested in design in all its forms, and through her life that has manifested itself in many ways. 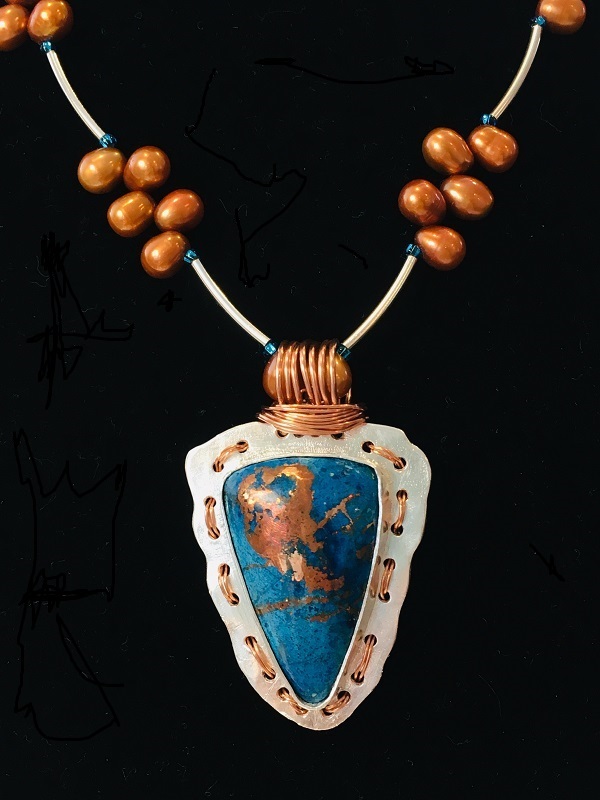 Even her careers, in mathematics and computer design/programming, she found to be very creative professions. 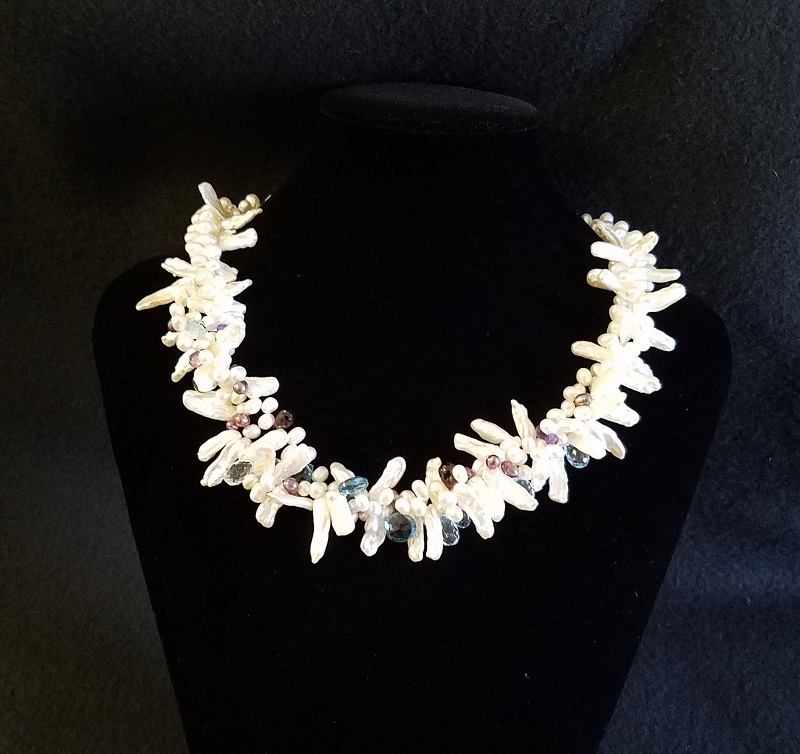 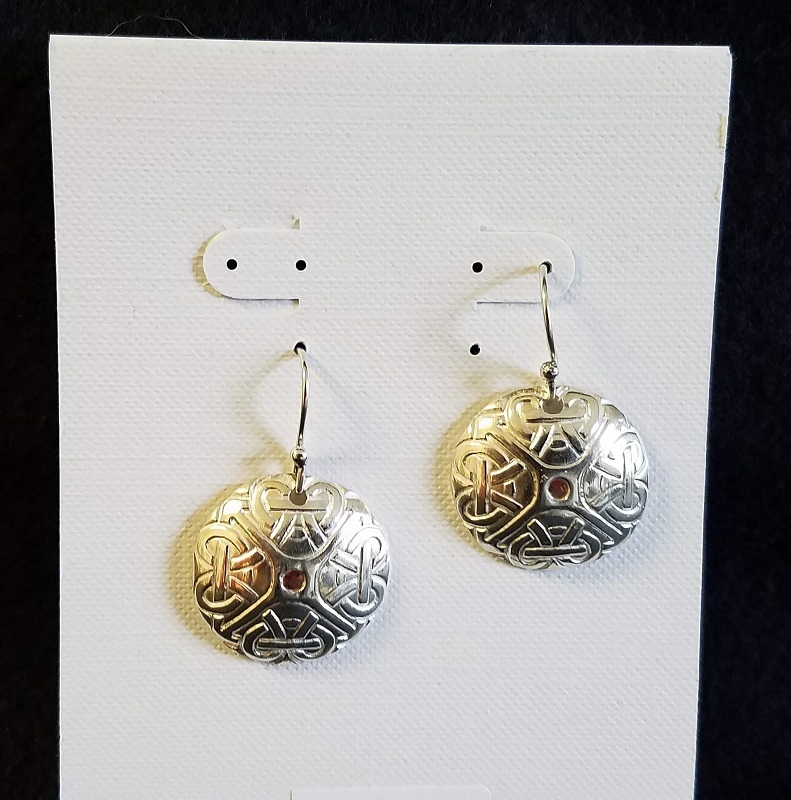 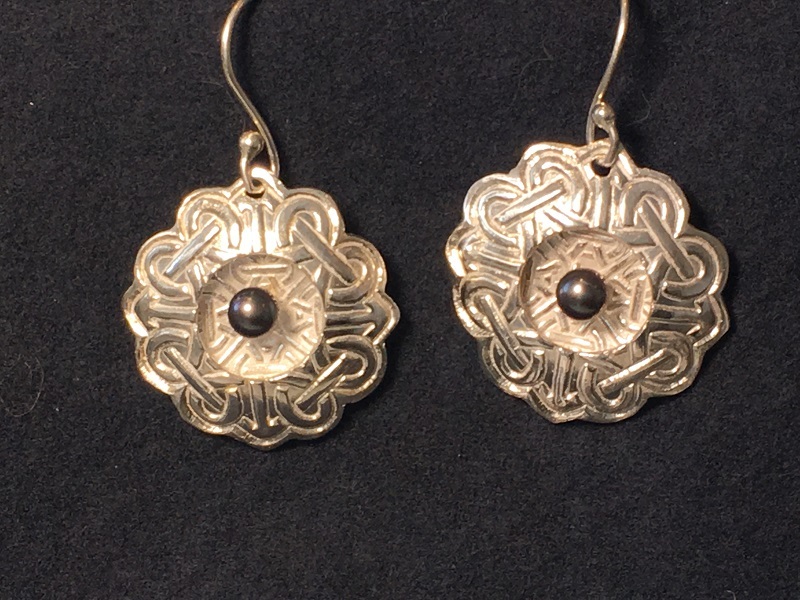 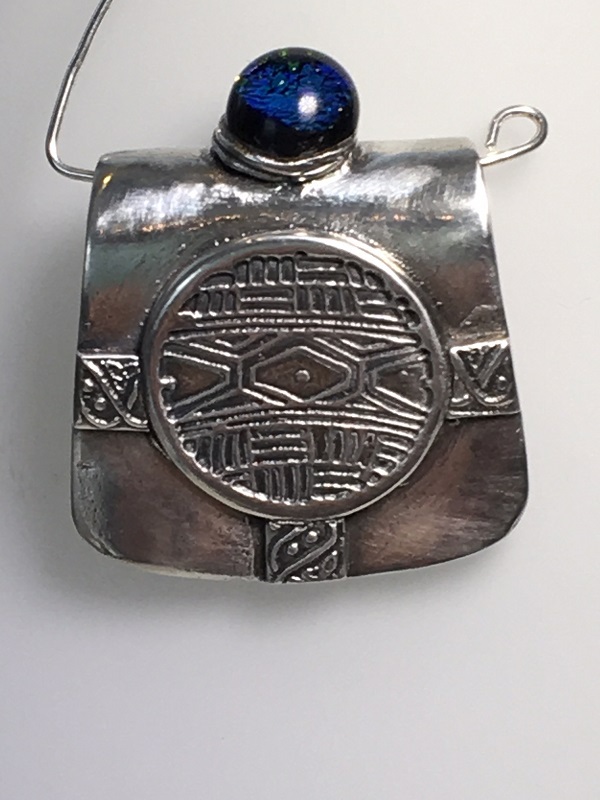 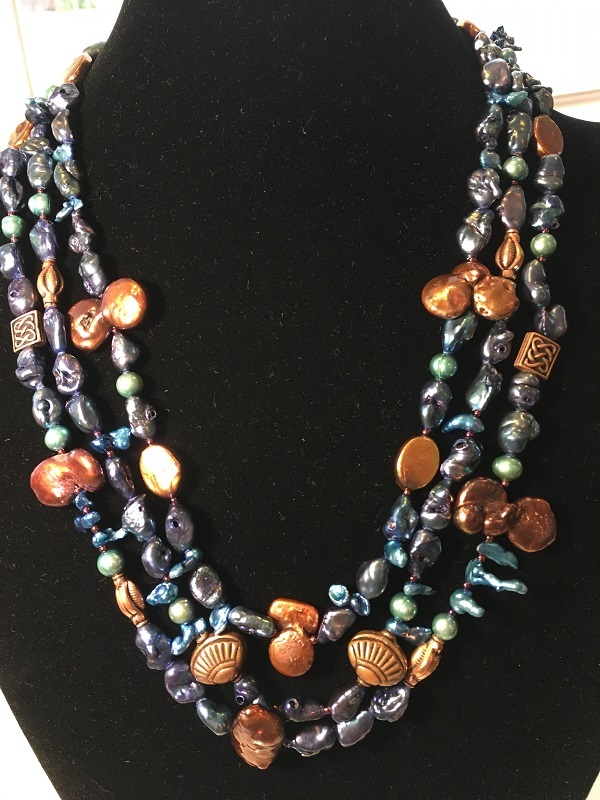 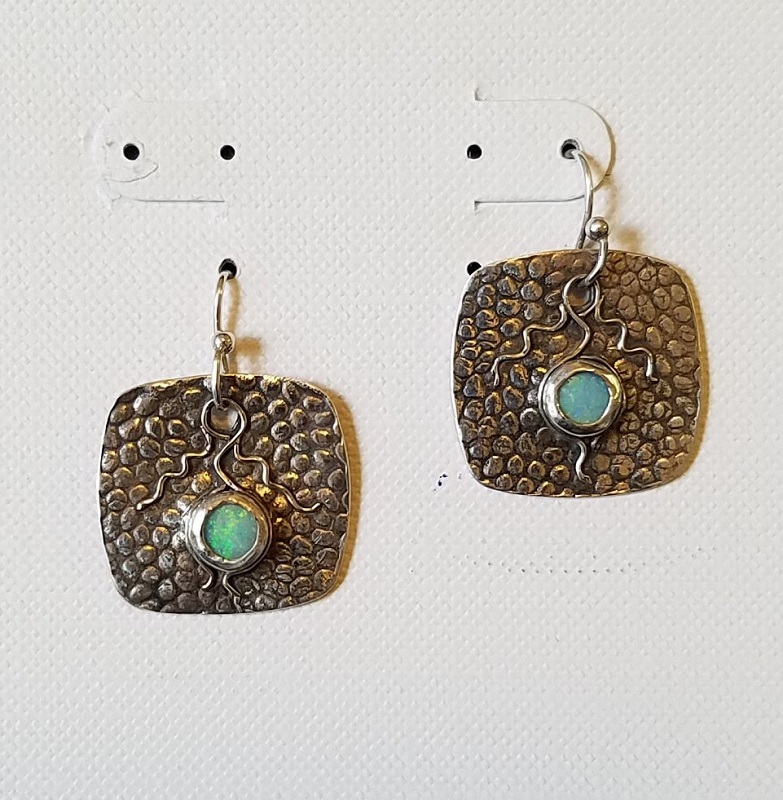 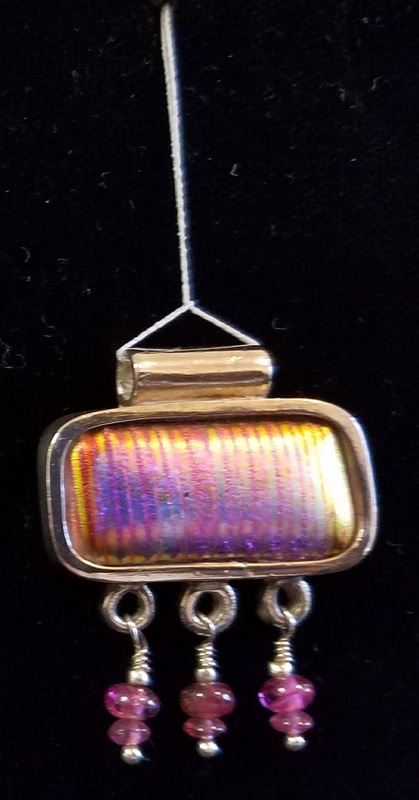 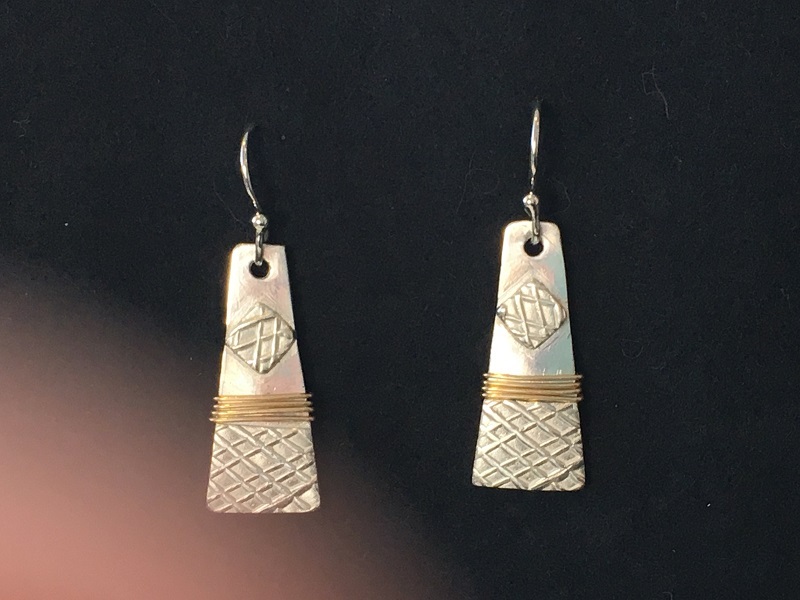 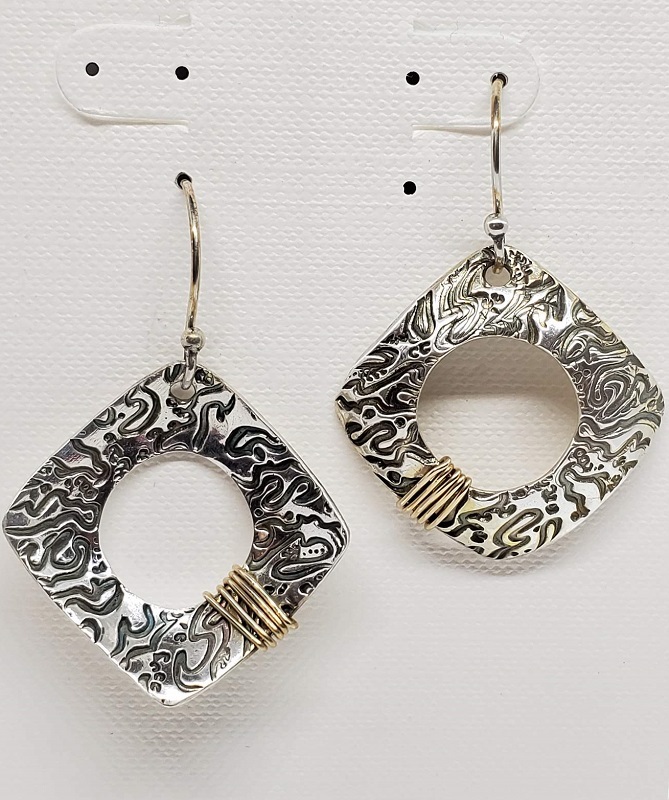 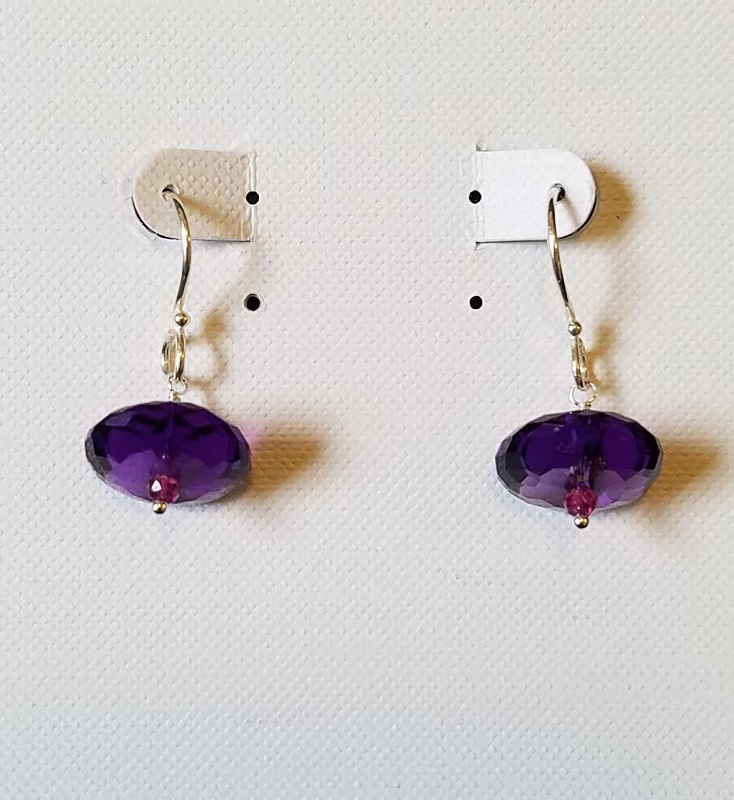 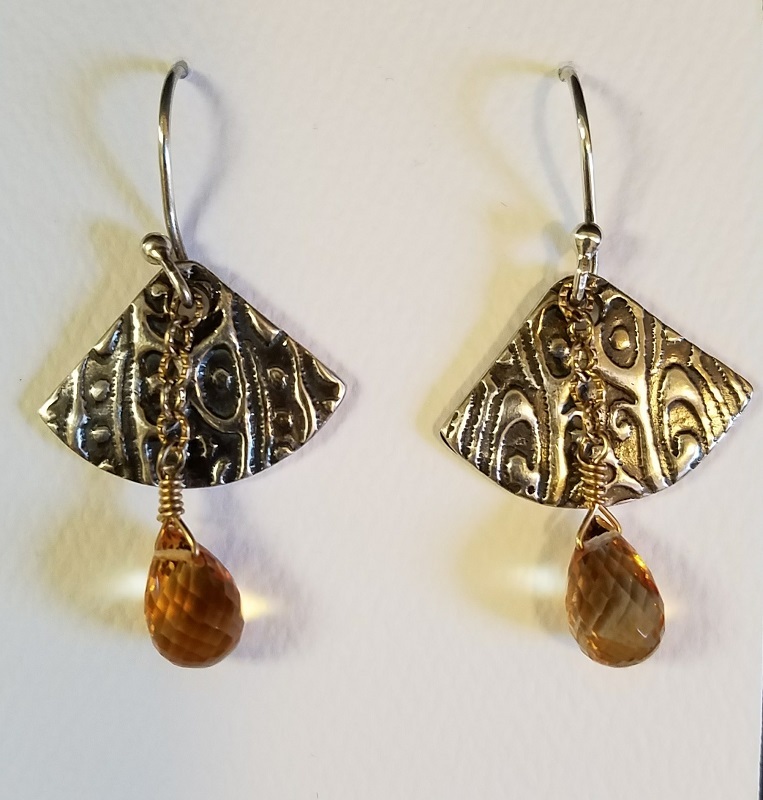 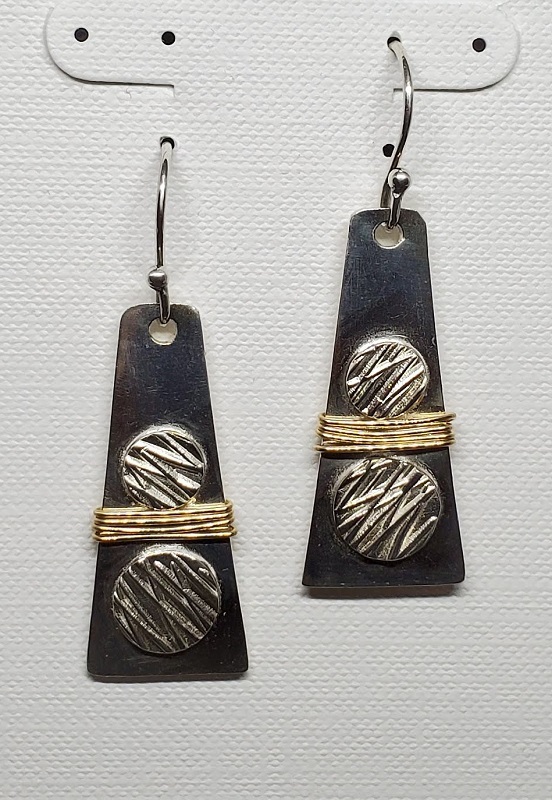 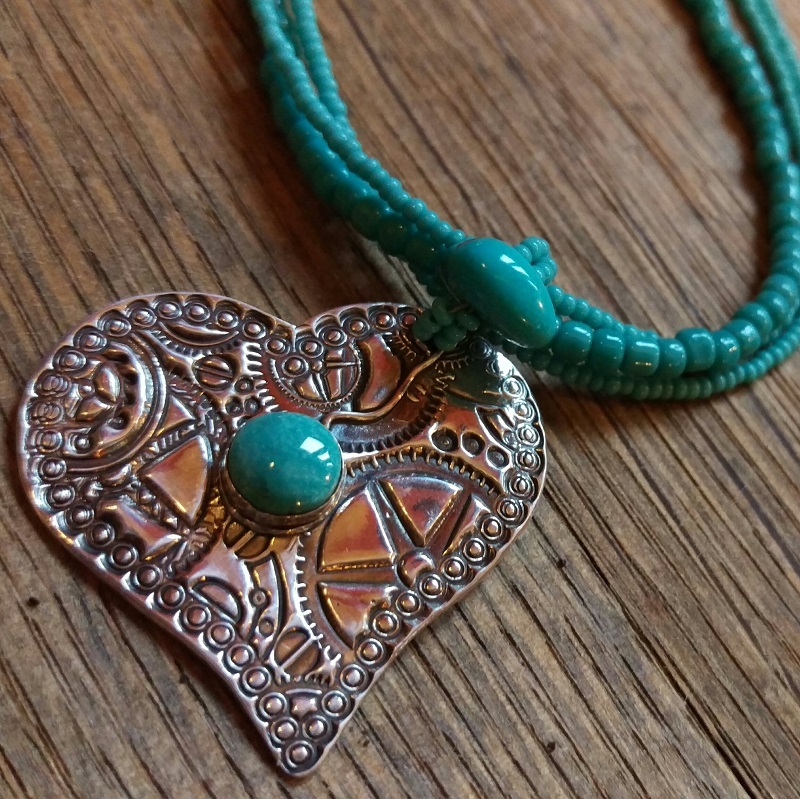 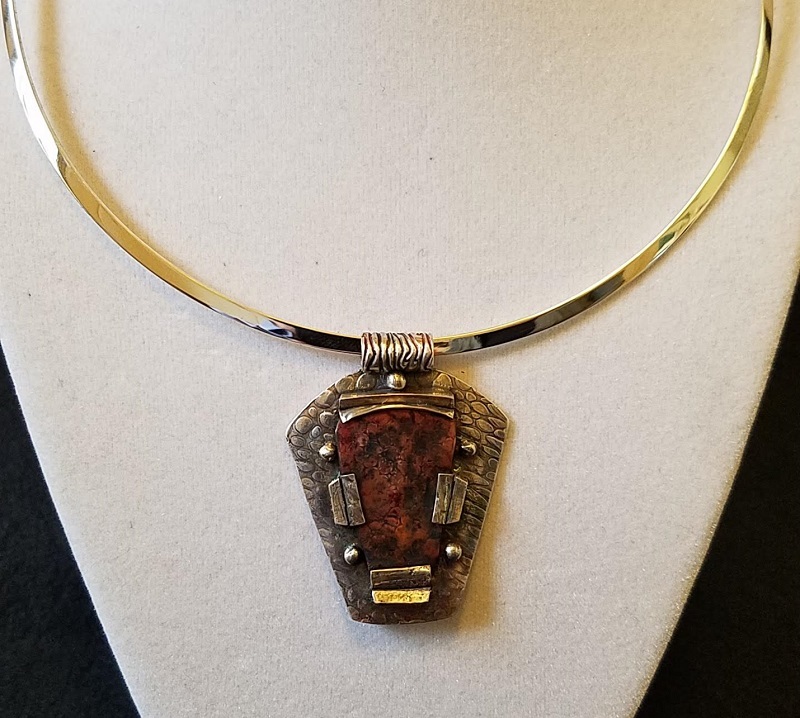 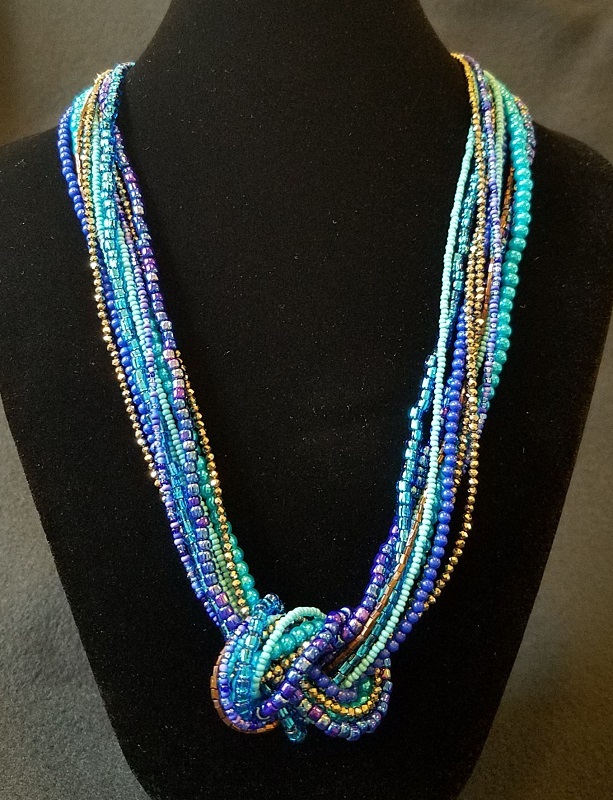 At home, she indulged her love of fiber arts through spinning, weaving, knitting and sewing, and did ceramics as well for a few years, but it was only at retirement that she met and fell in love with jewelry arts. 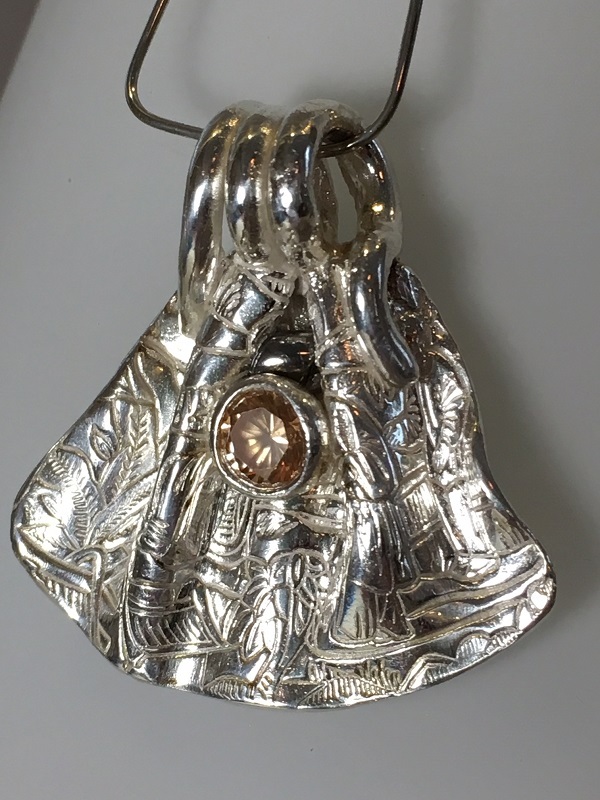 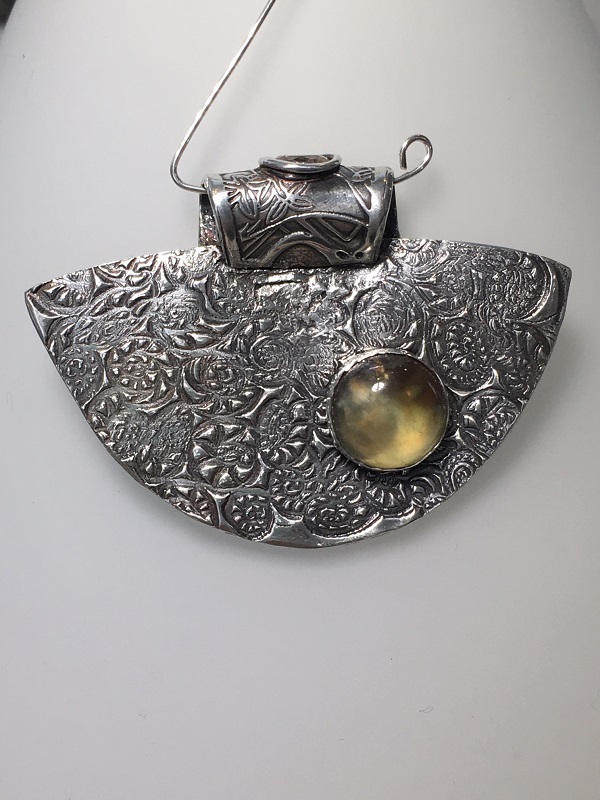 For many years she had explored the world of jewelry design as she and her husband Chris travelled, so the idea of creating such things was a very compelling one. 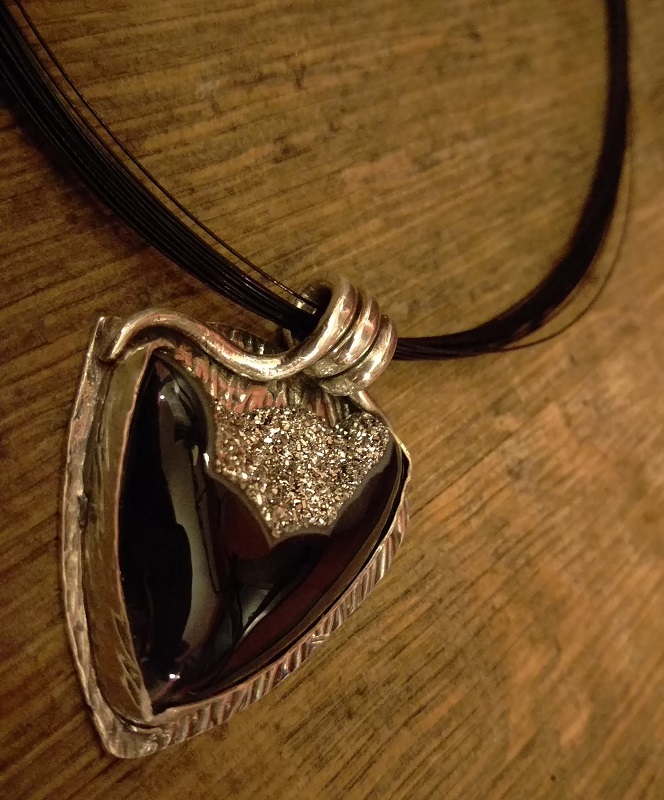 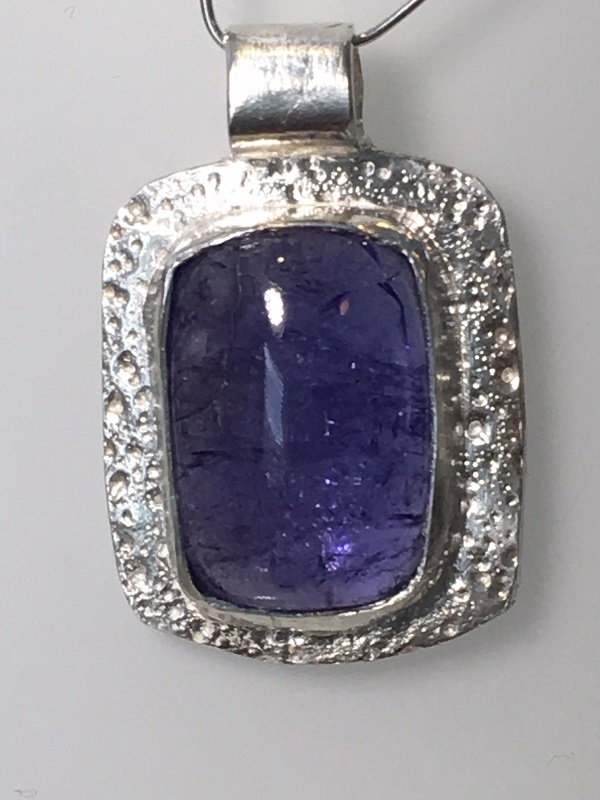 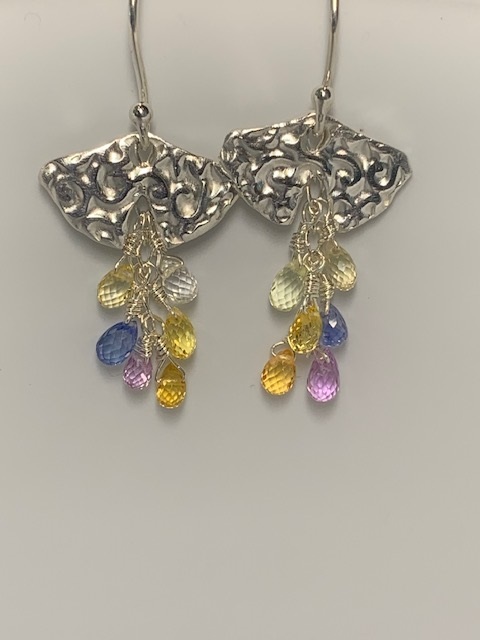 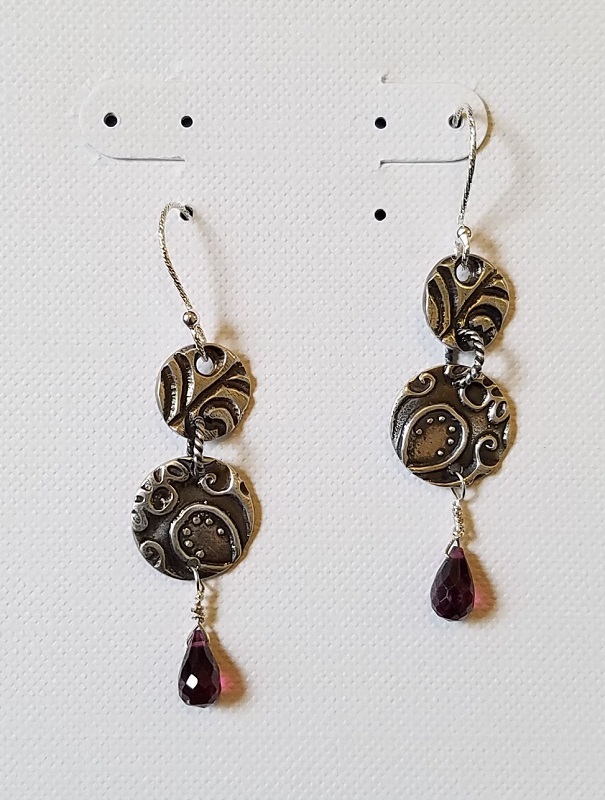 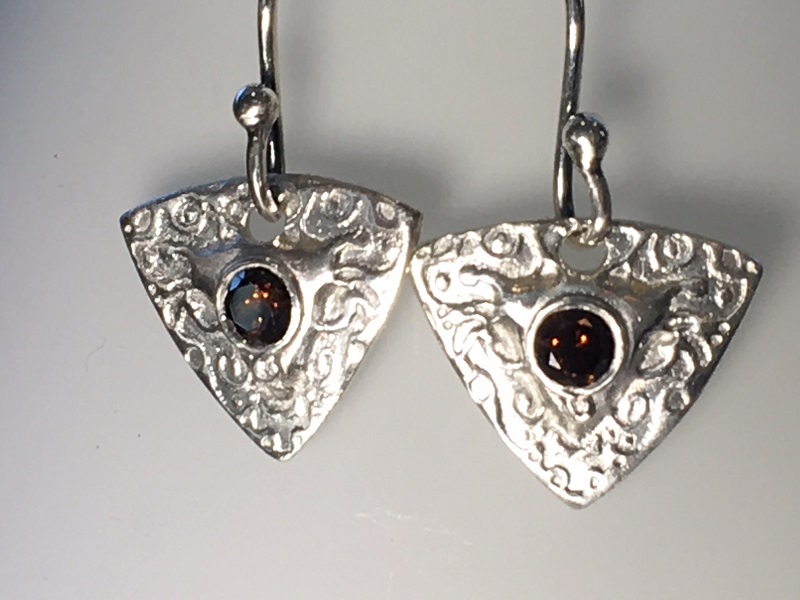 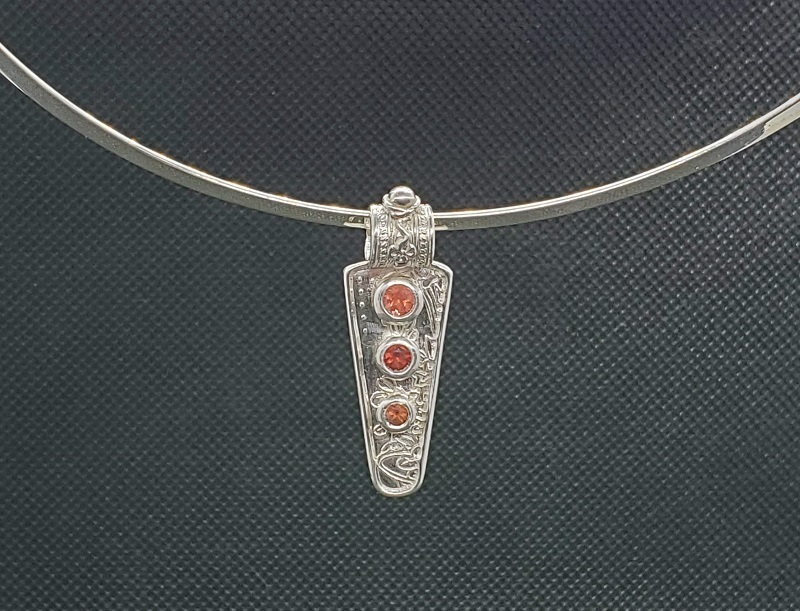 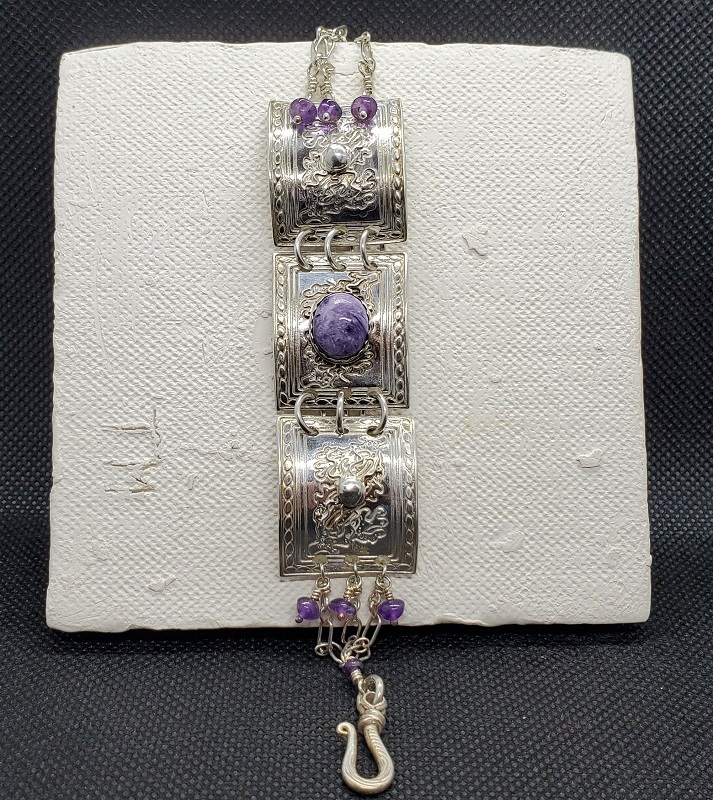 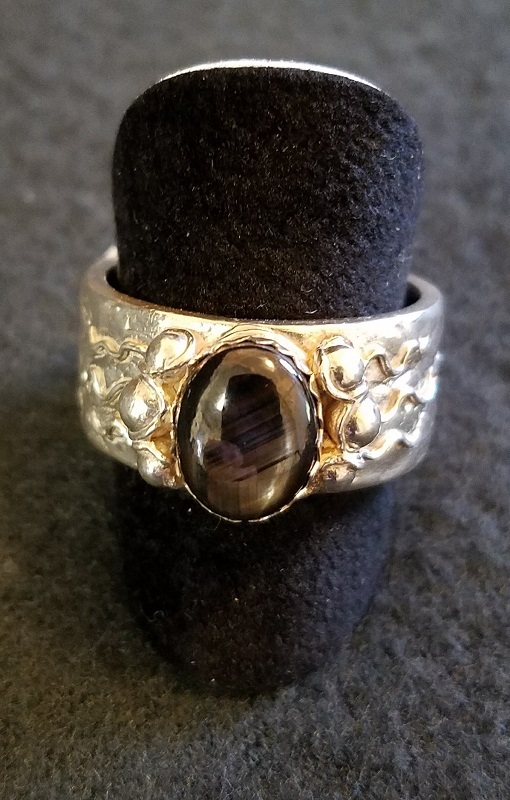 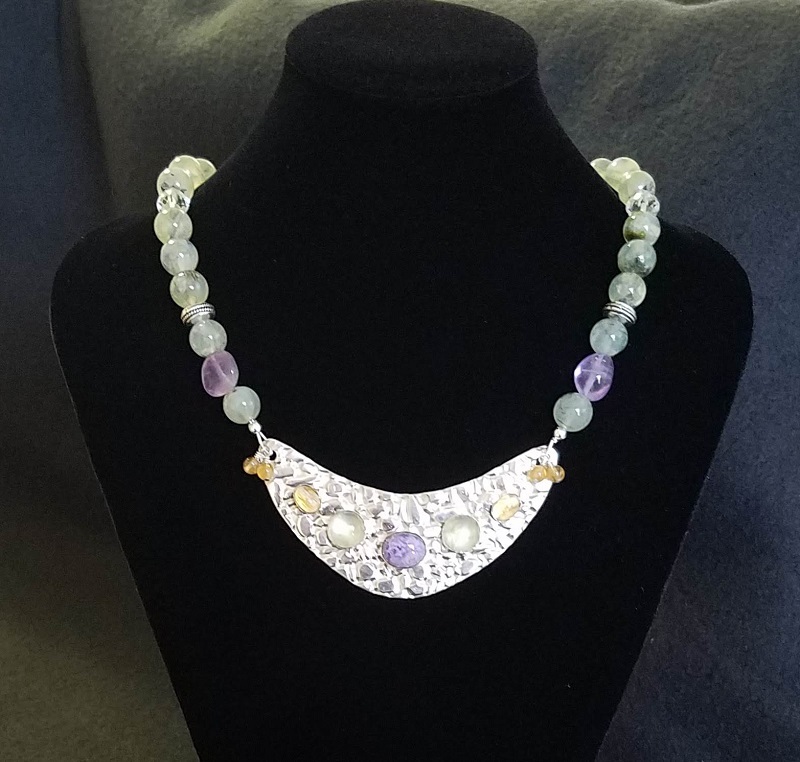 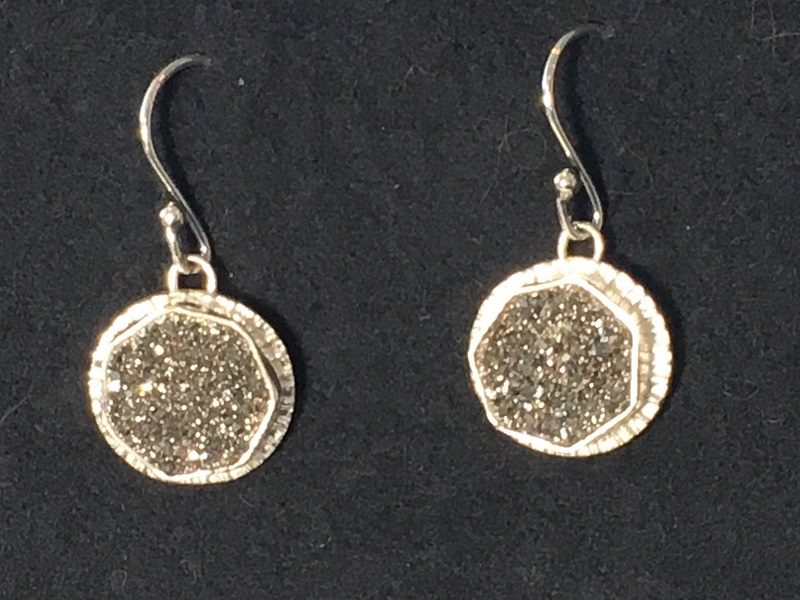 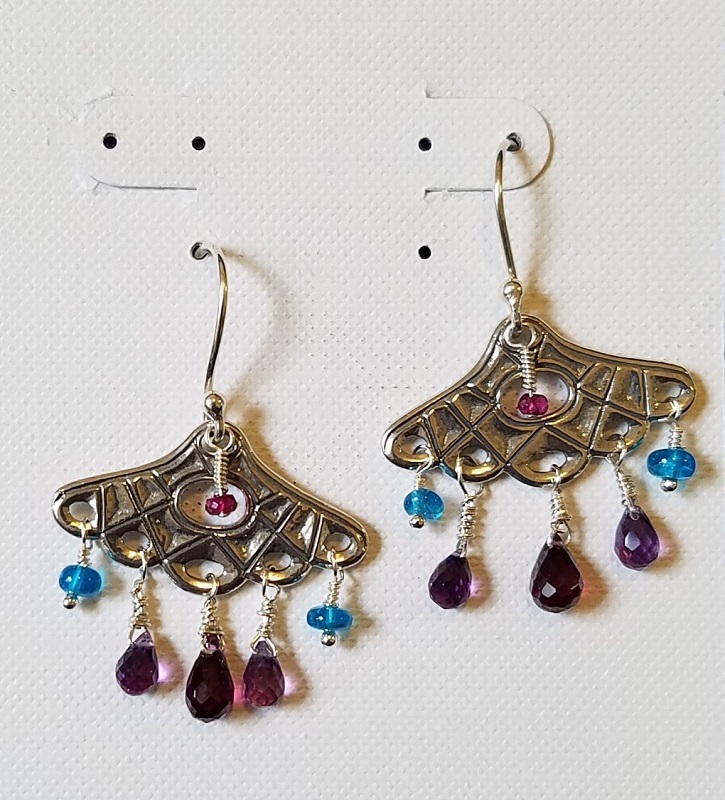 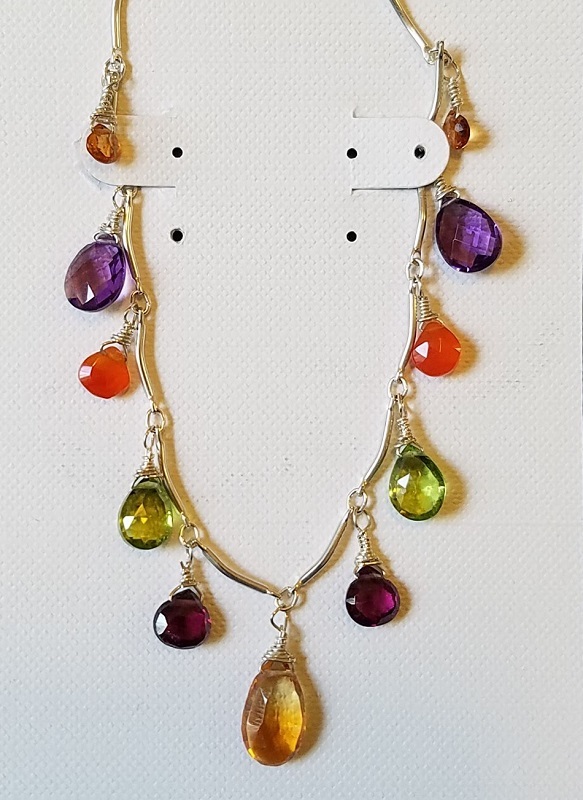 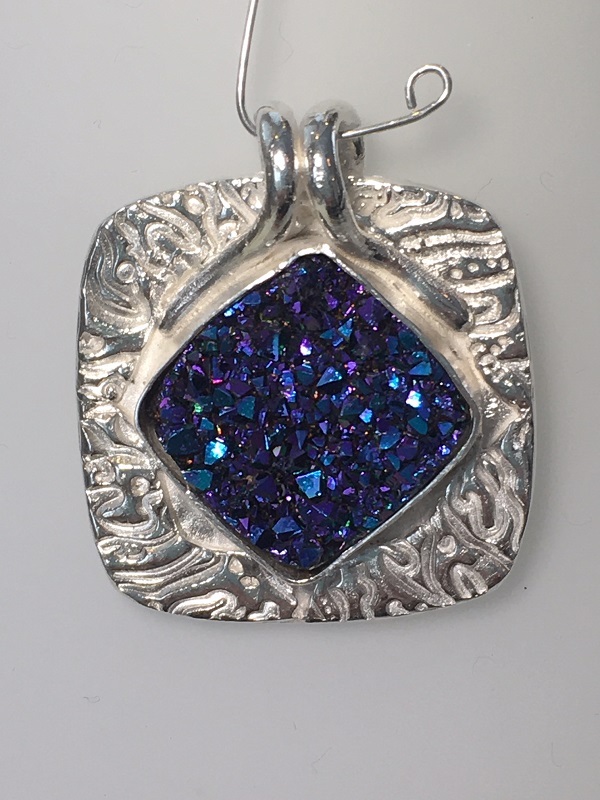 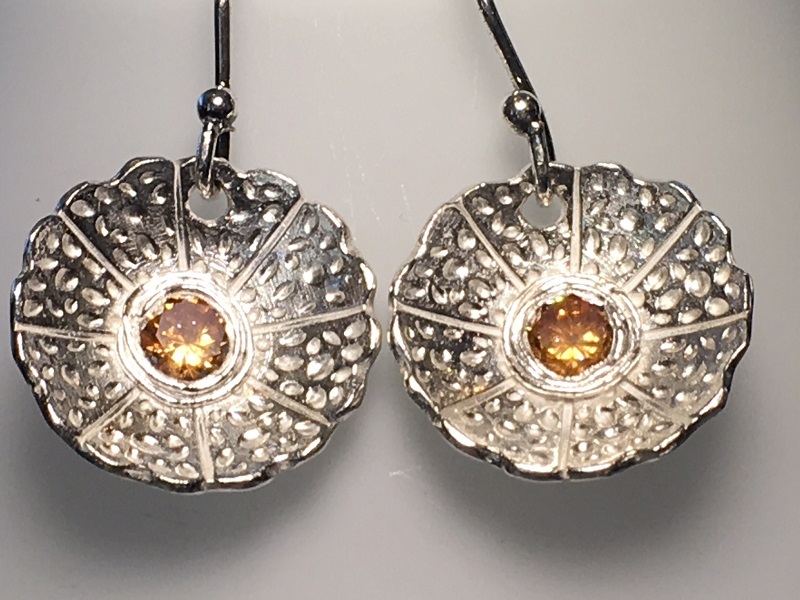 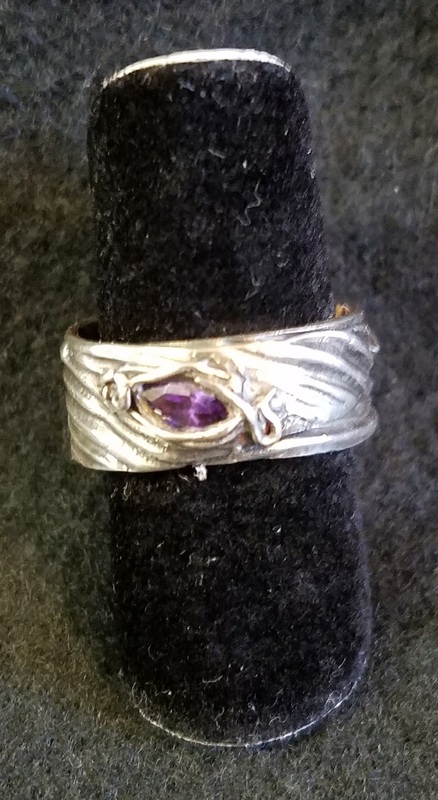 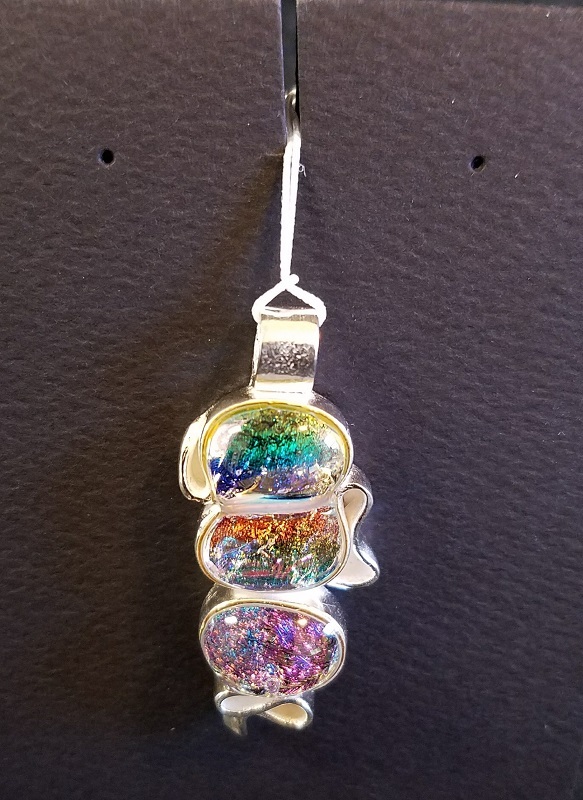 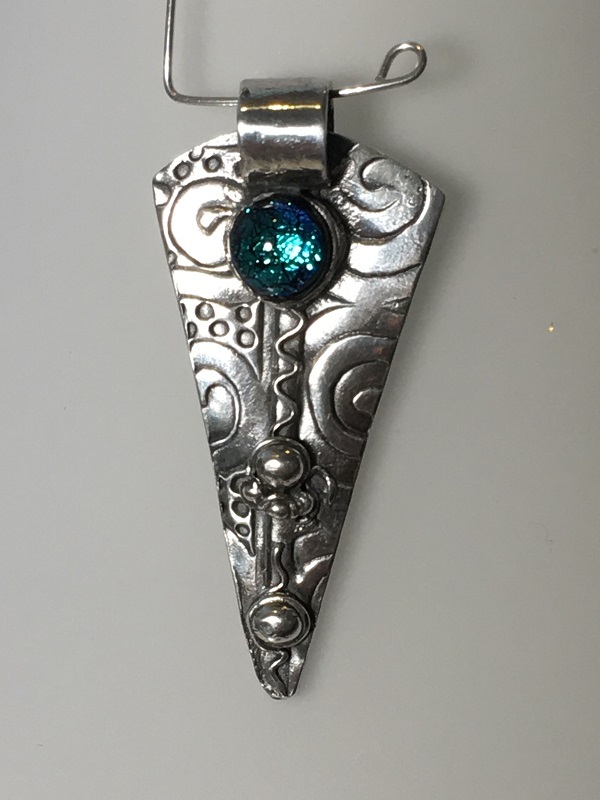 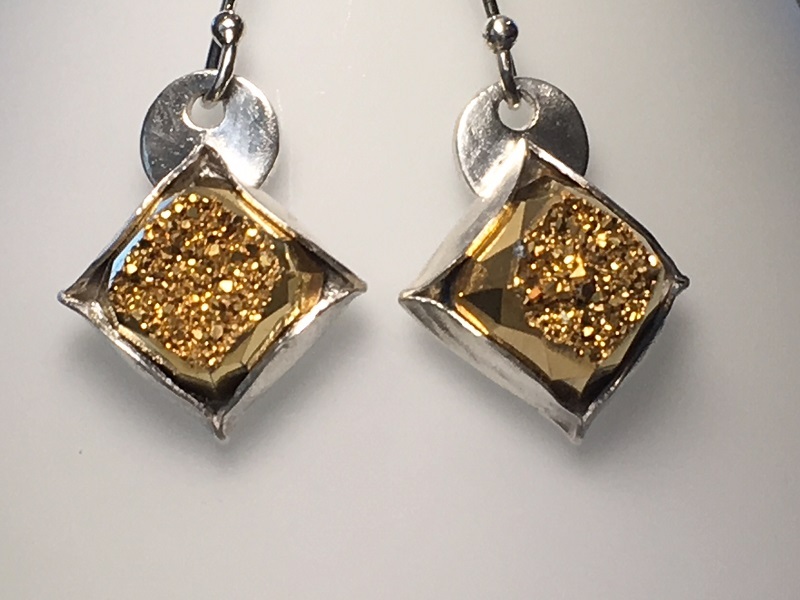 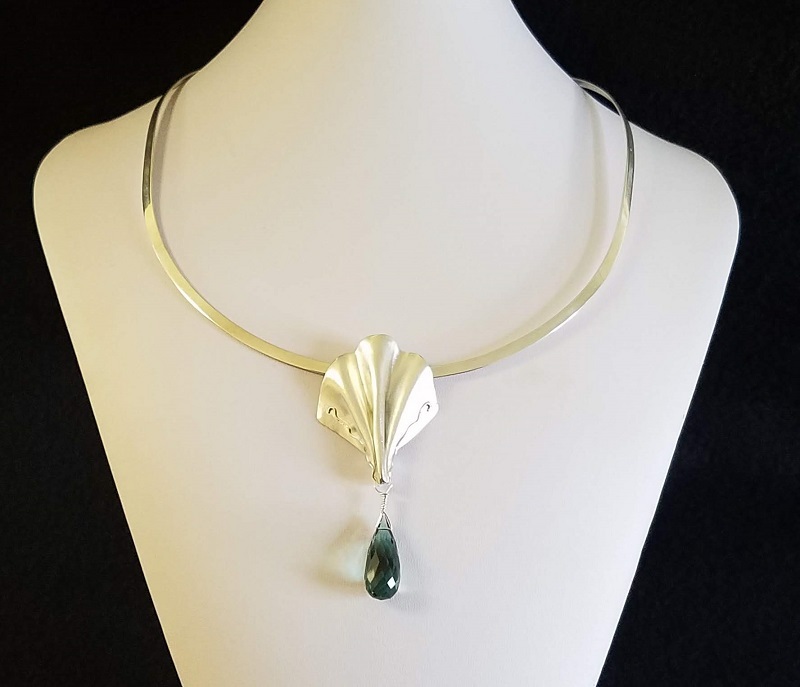 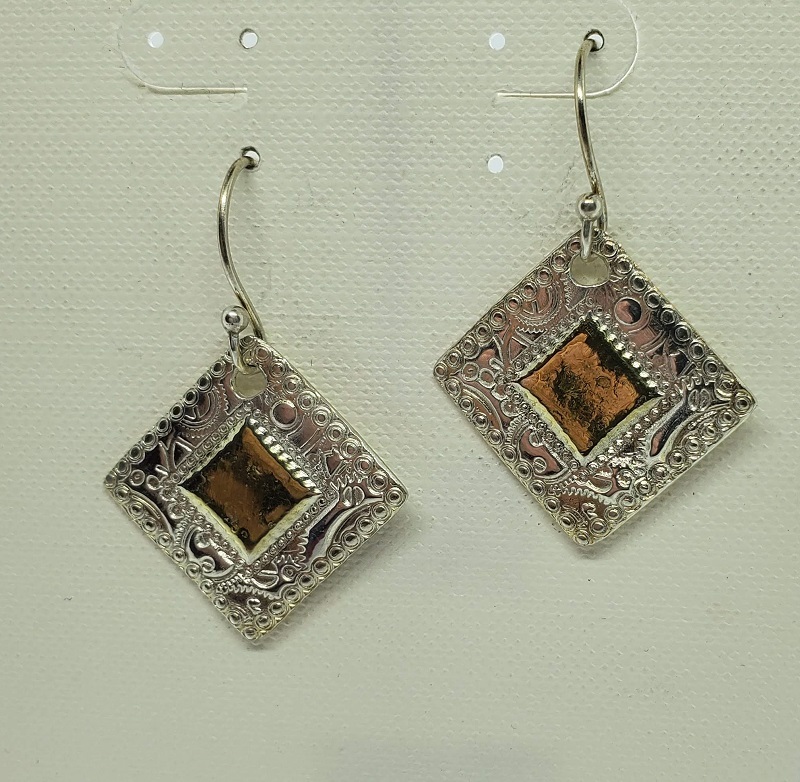 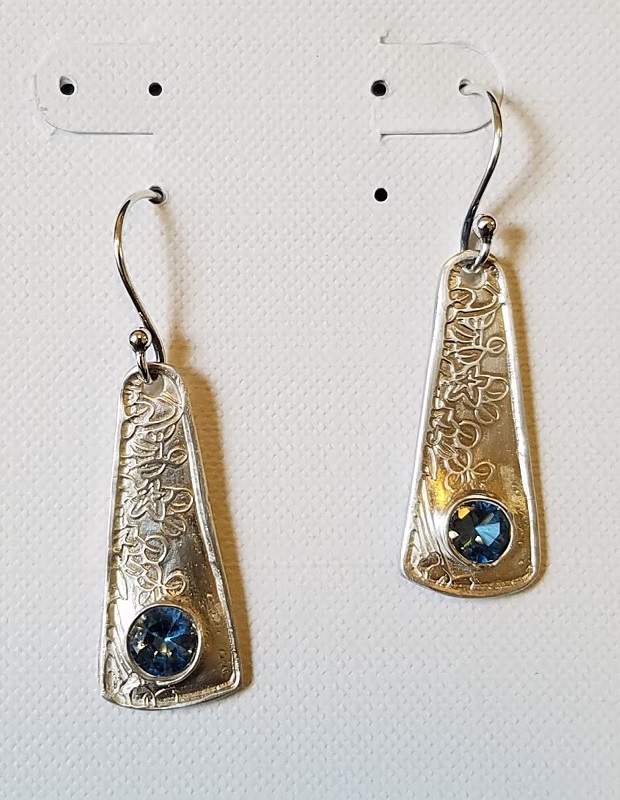 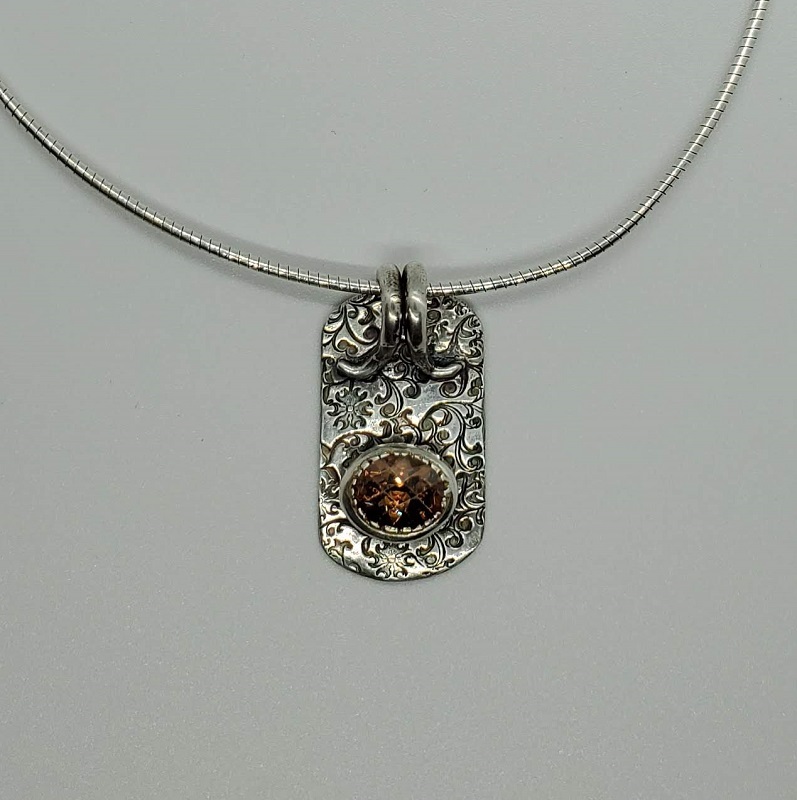 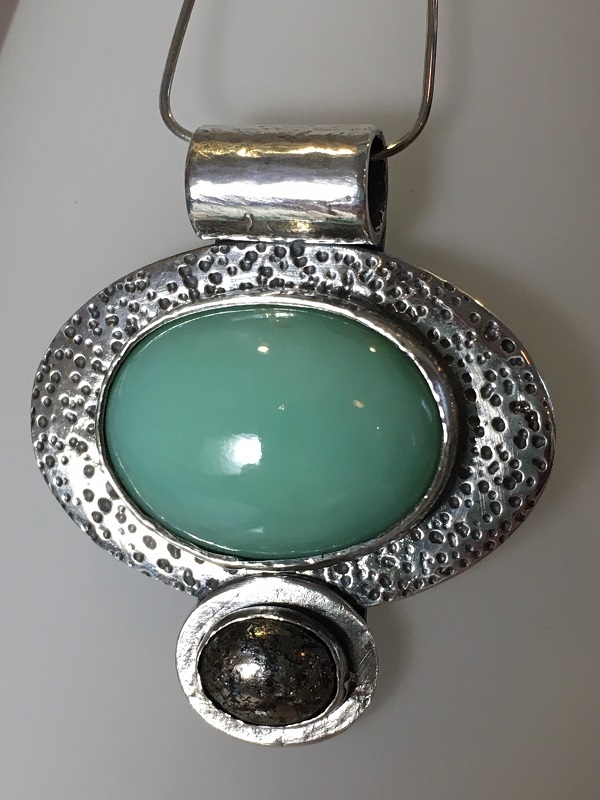 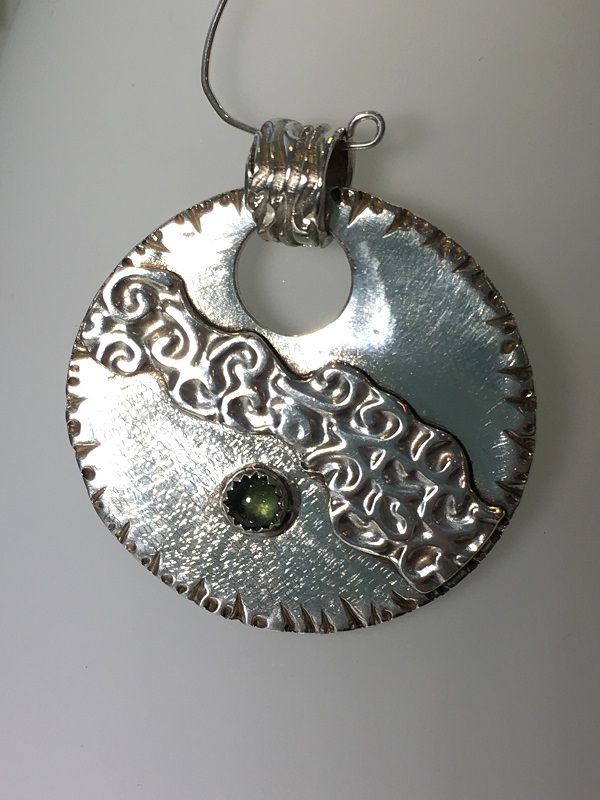 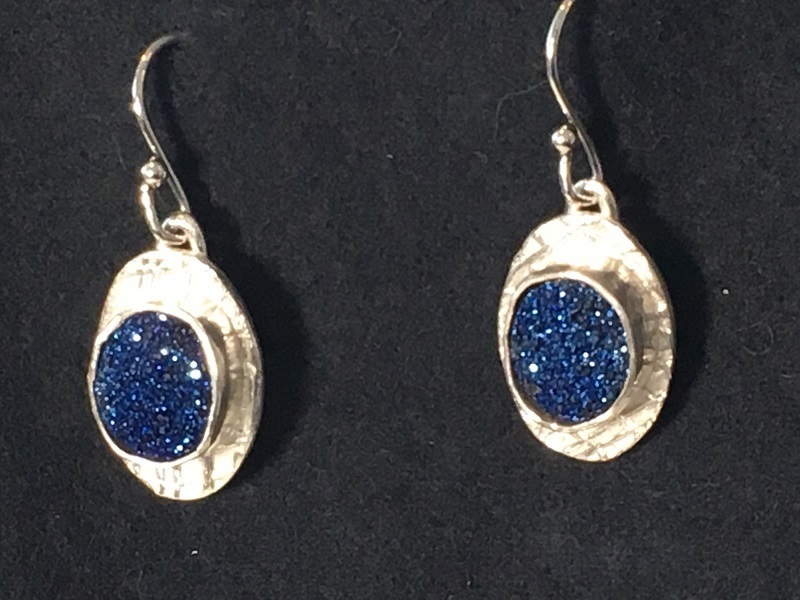 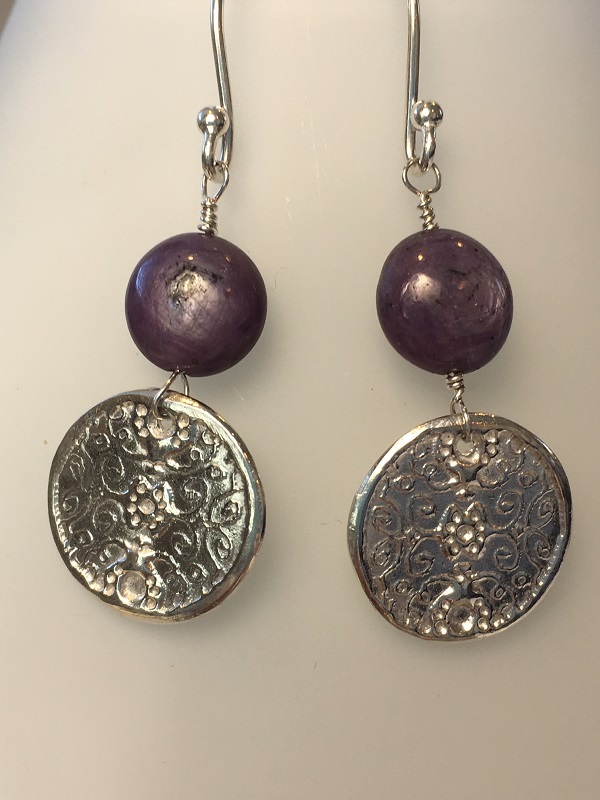 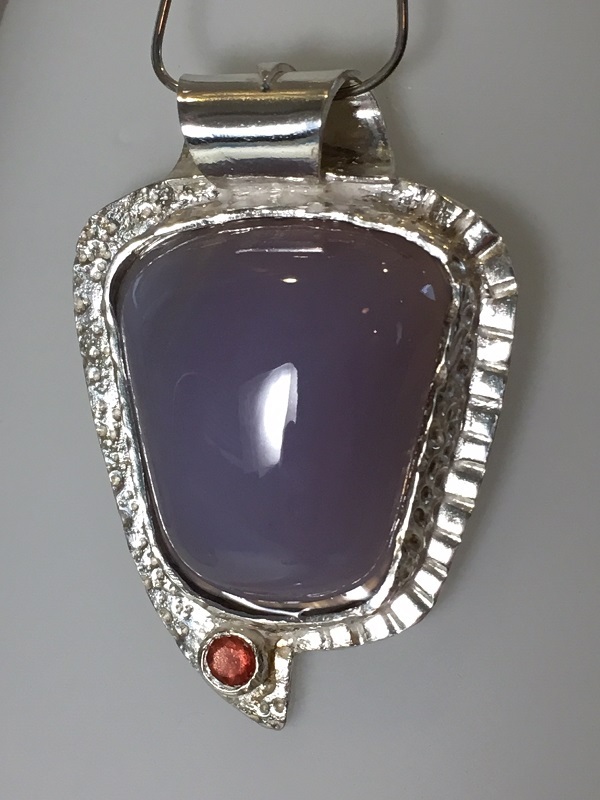 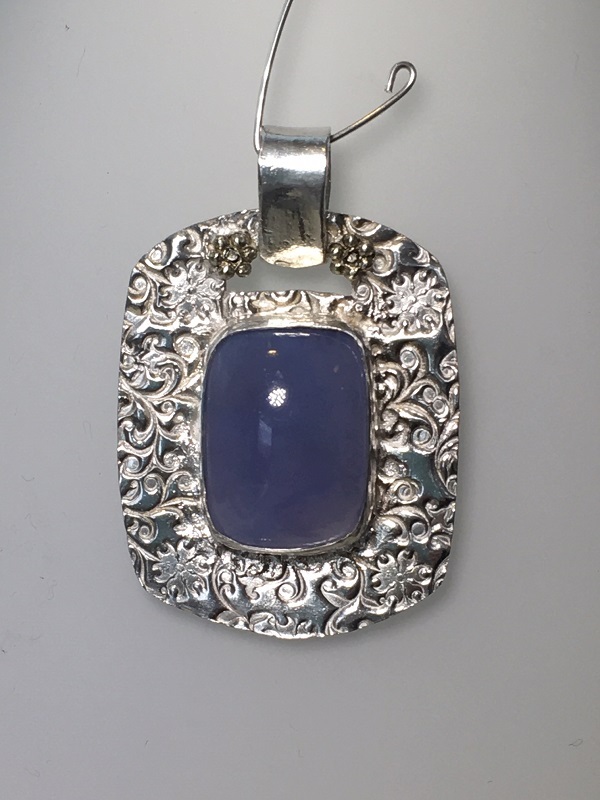 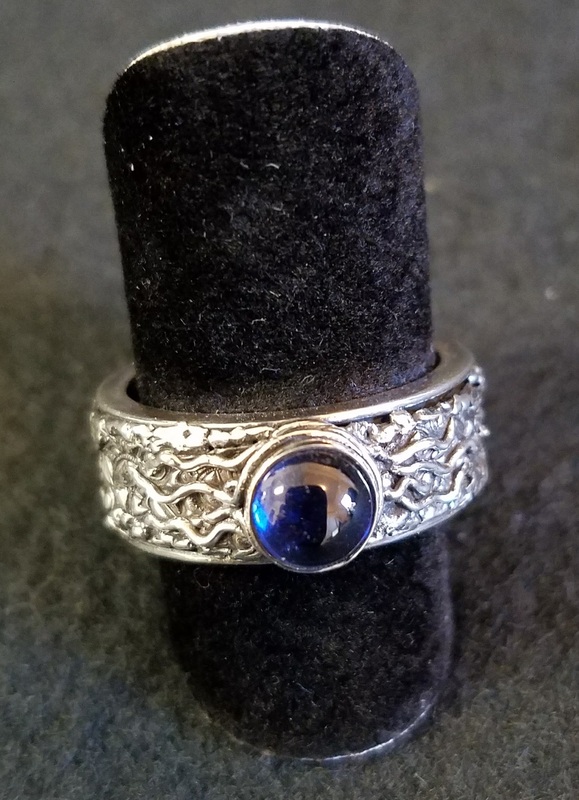 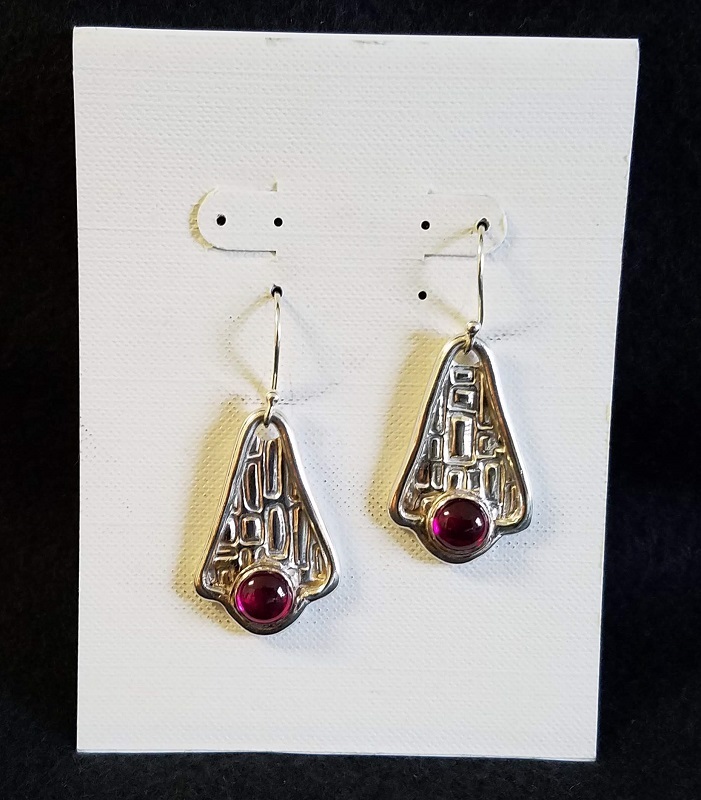 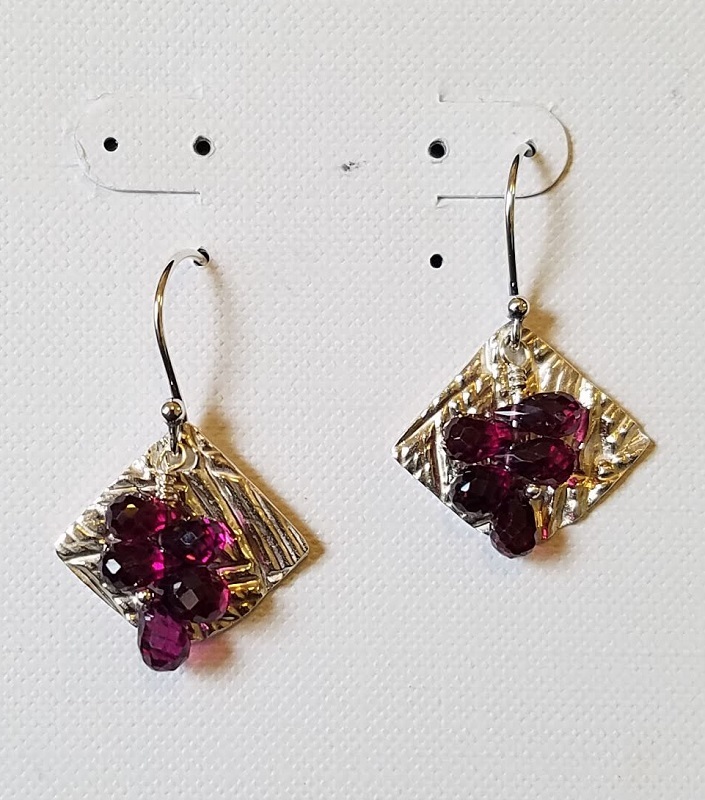 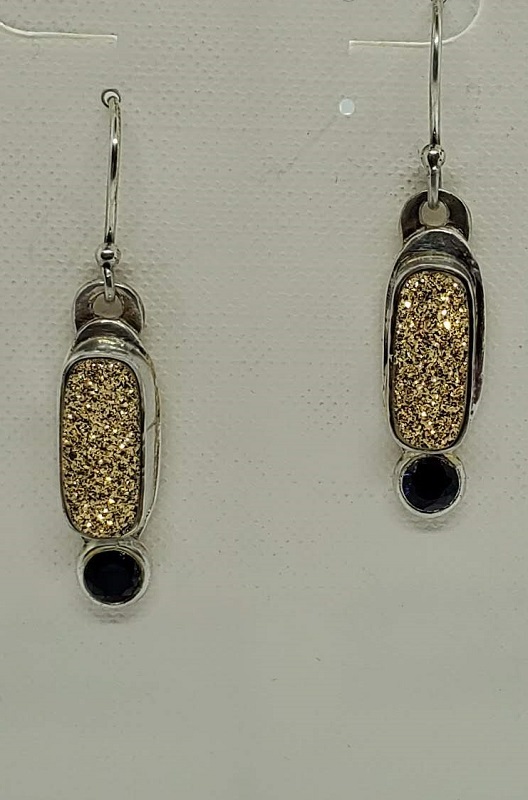 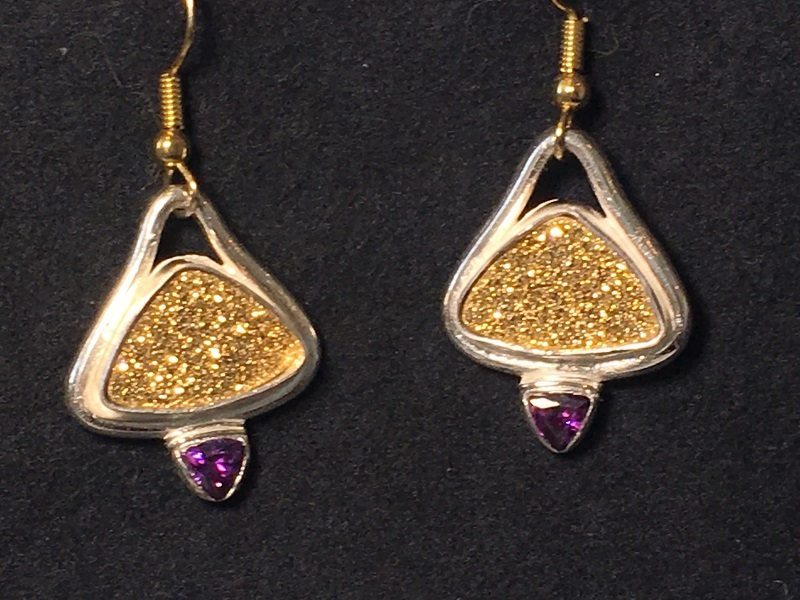 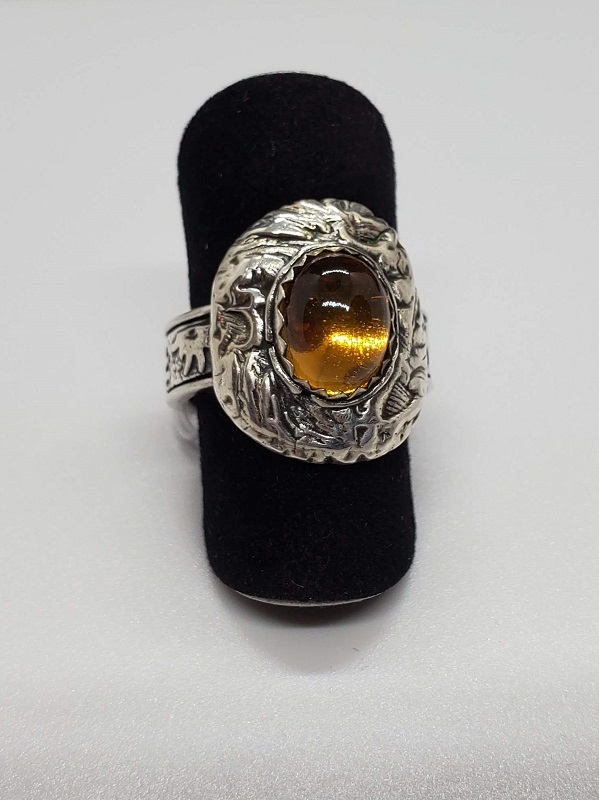 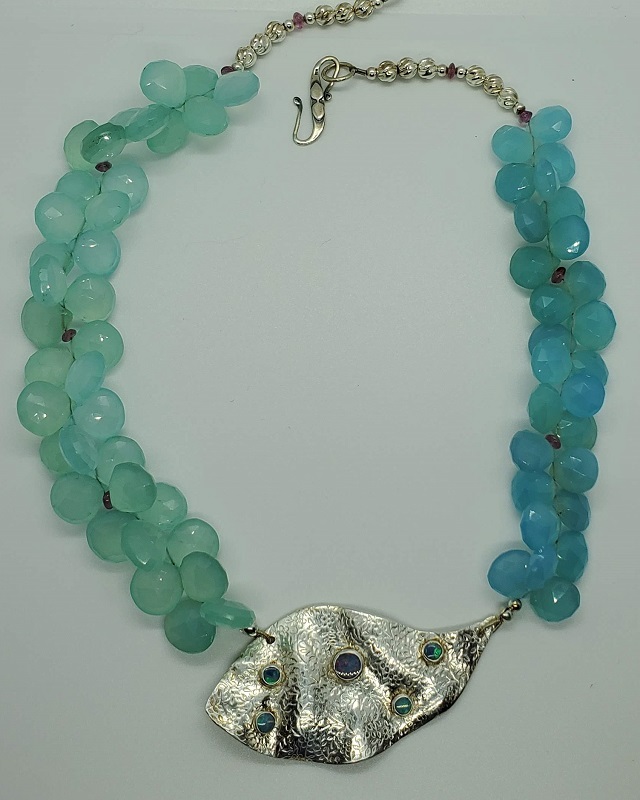 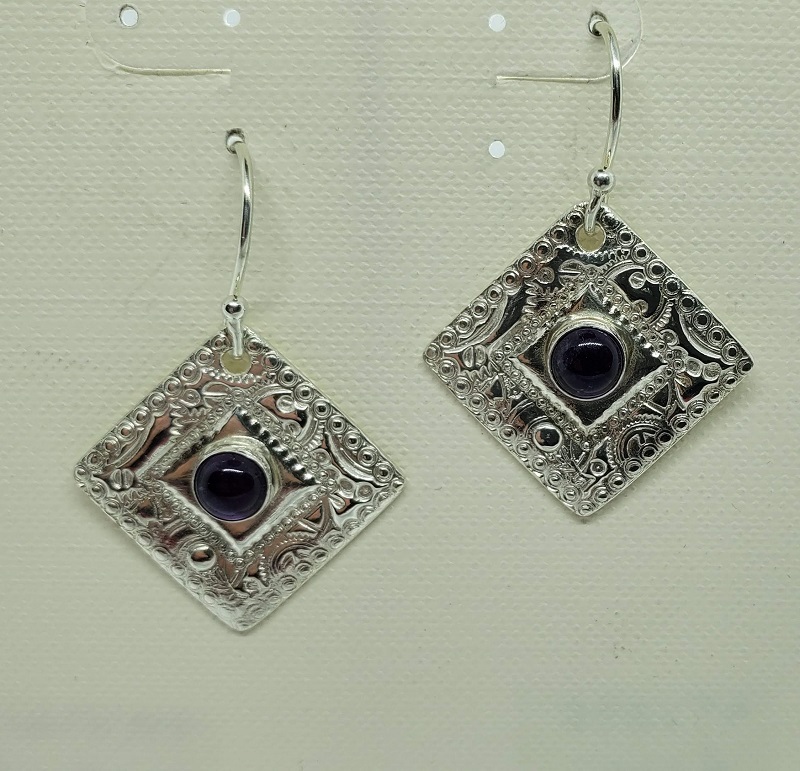 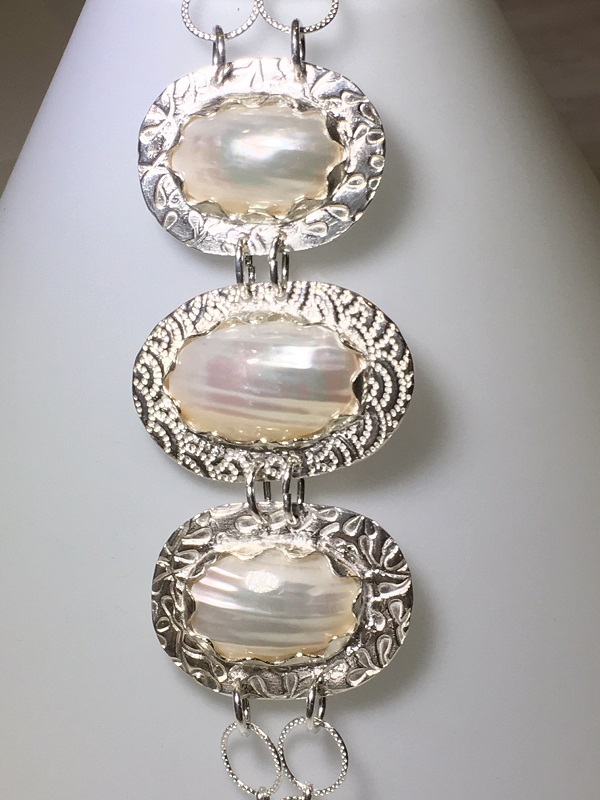 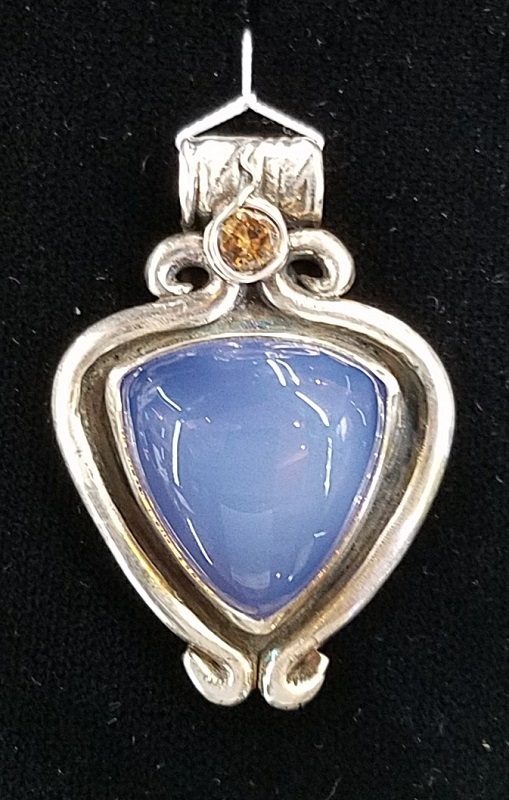 First she learned all she could about gemstones, but then the search for more artistic findings and focal pieces led her to doing the silver work herself. 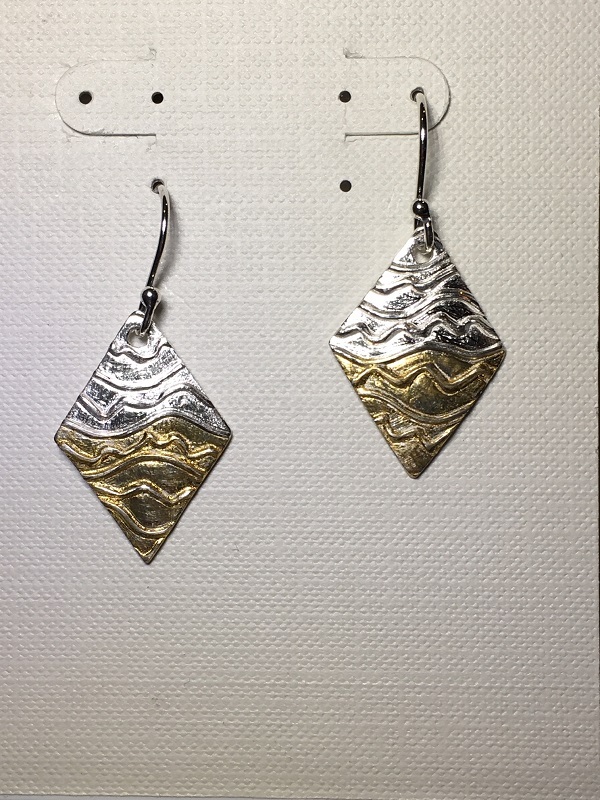 The discovery of Precious Metal Clay, invented over 30 years ago by Mitsubishi, was a perfect fit for her, coming from a ceramics background. 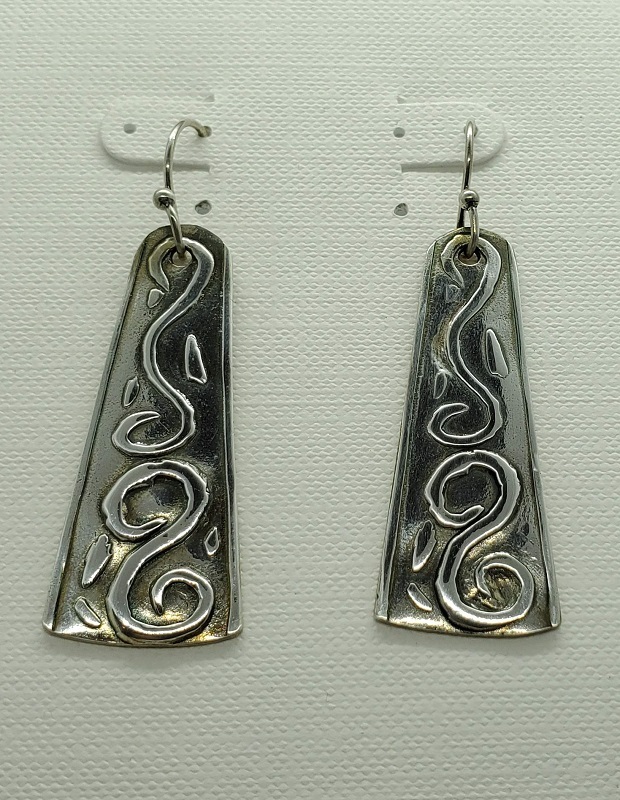 This material is powdered silver with a clay-like binder added. 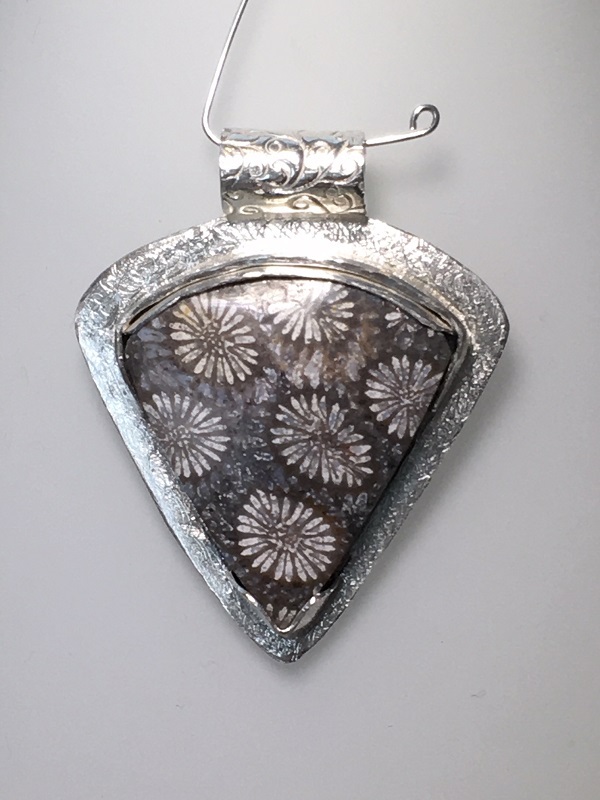 The artist can form the shapes, as one would in producing a clay piece (though on a much smaller and more detailed scale) and then fire the piece in a kiln to burn off the binder. 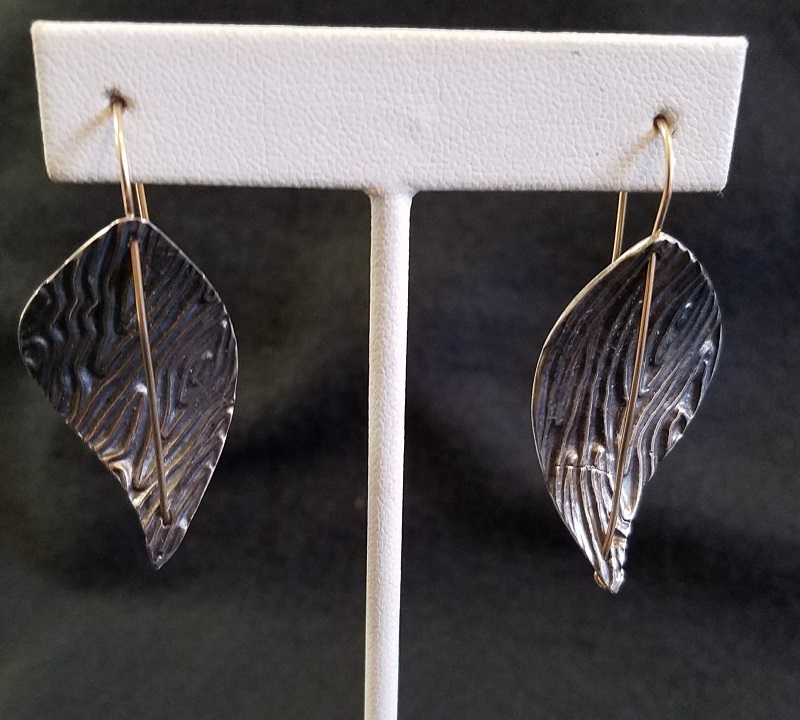 This leaves .999 Fine Silver, which is then finished and polished as any silversmith would do. 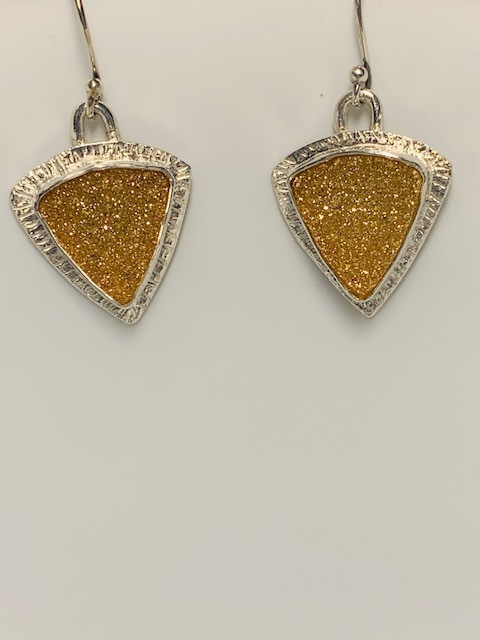 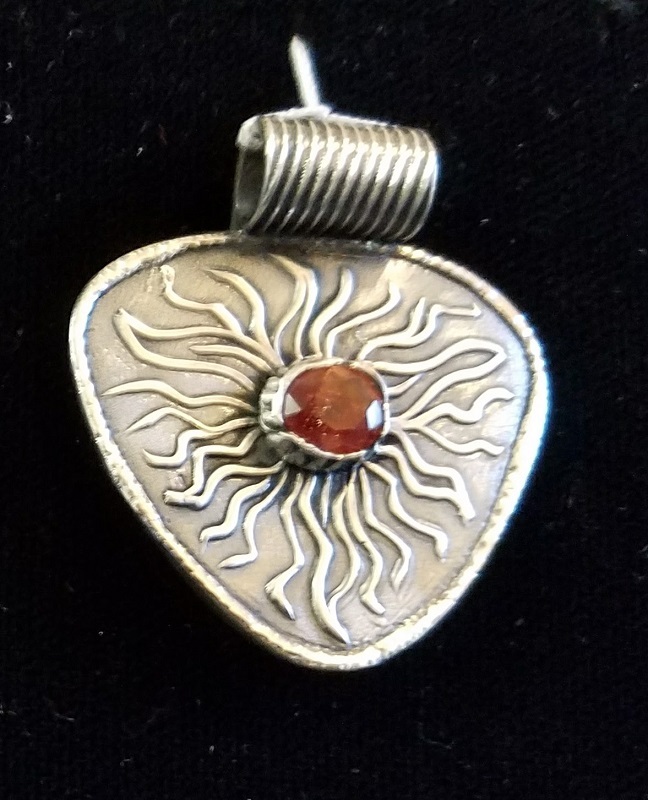 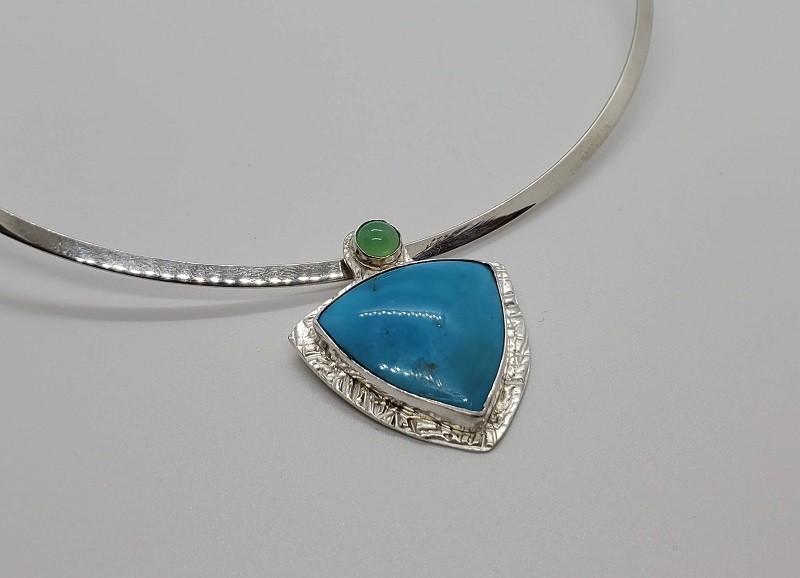 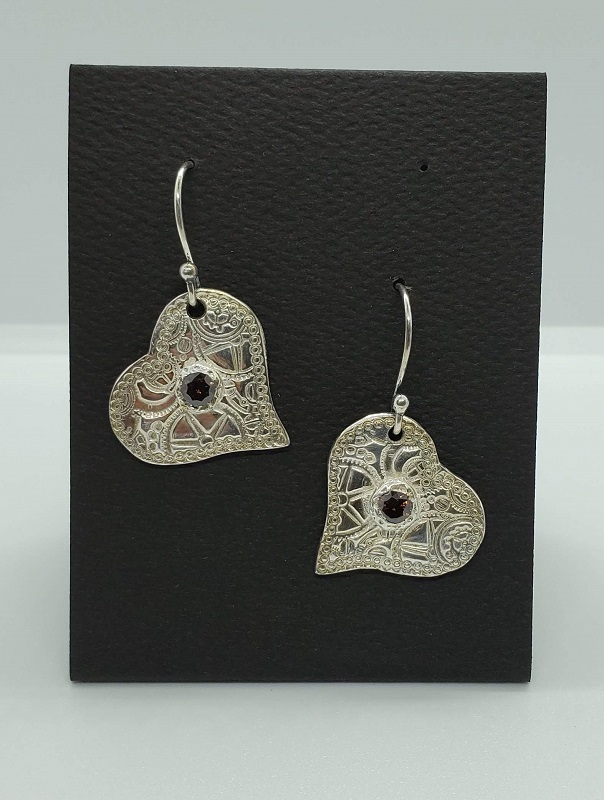 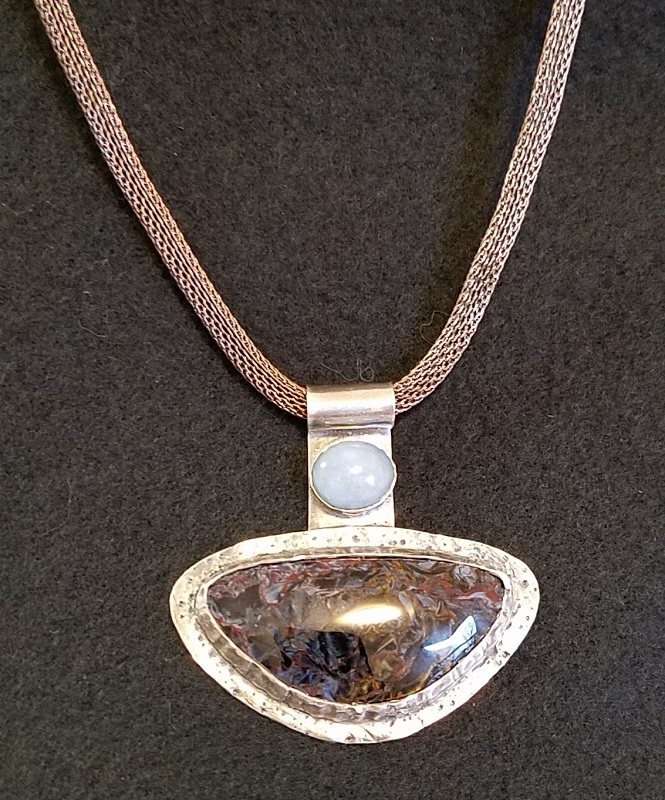 Gemstones are added in finishing, in the more traditional manner, but some can tolerate the firing heat and be embedded in the clay form during the initial creation. 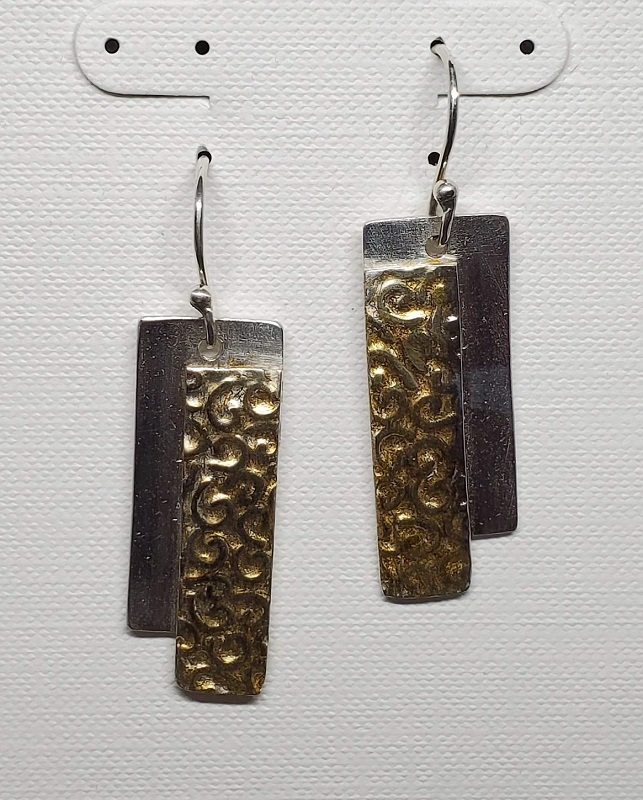 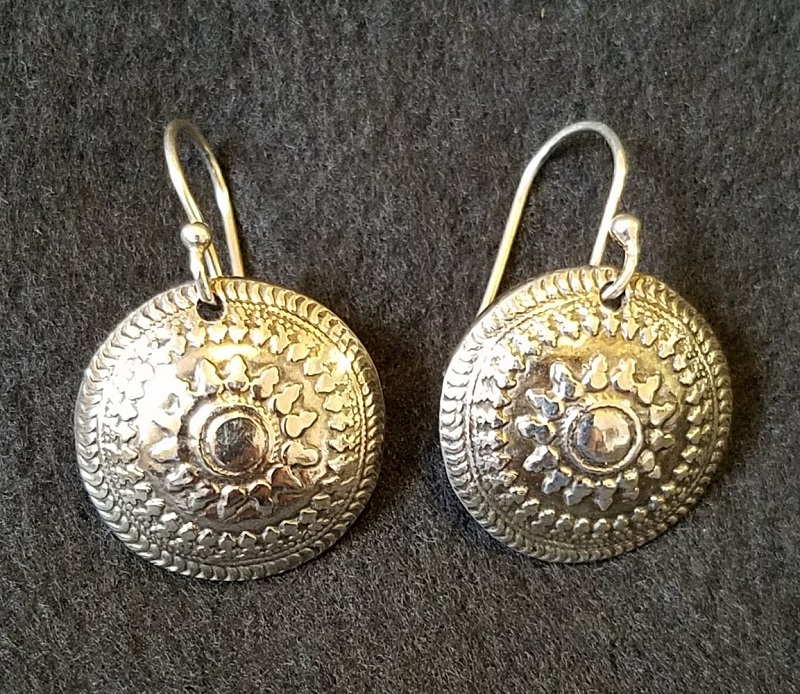 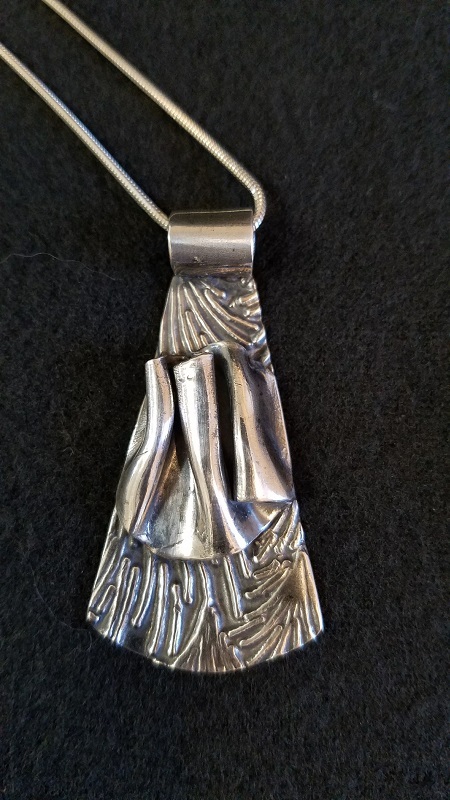 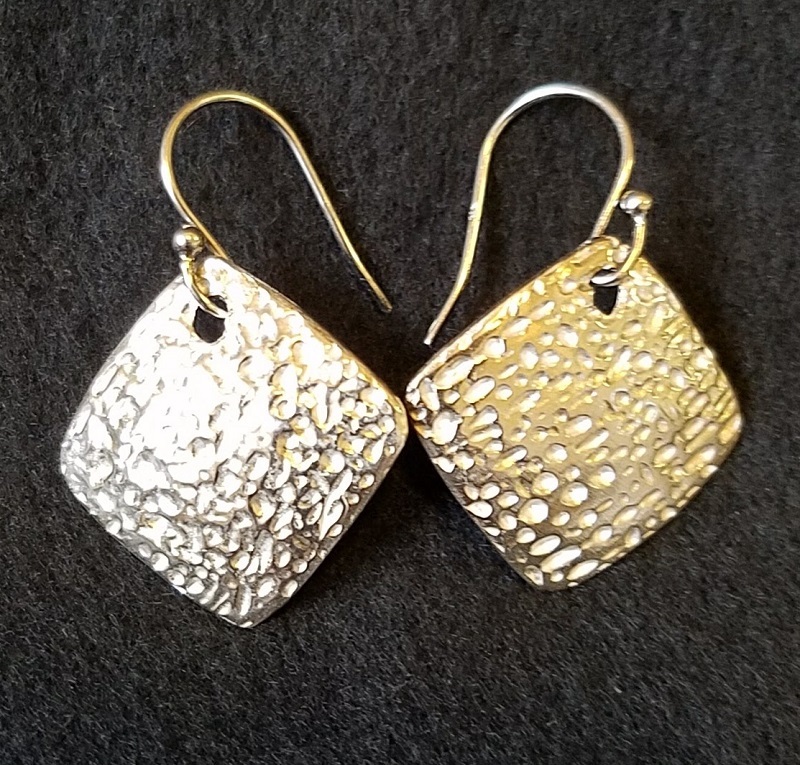 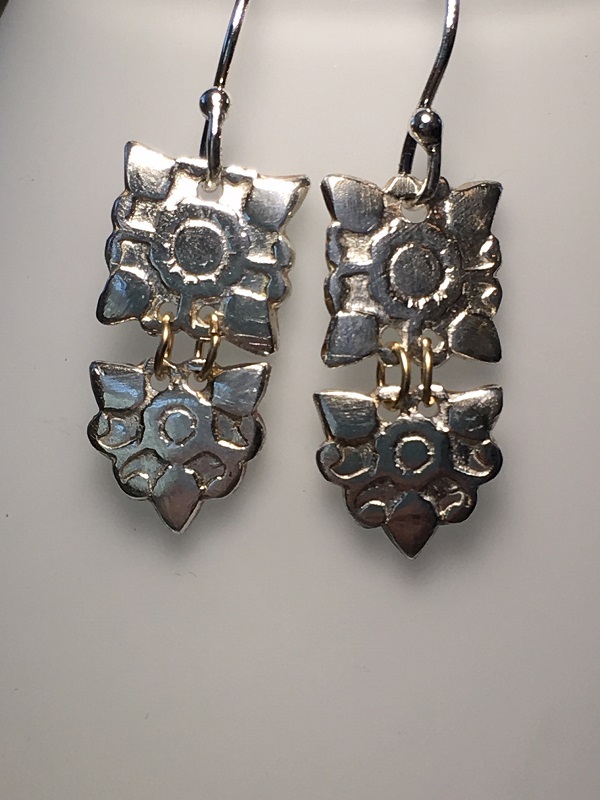 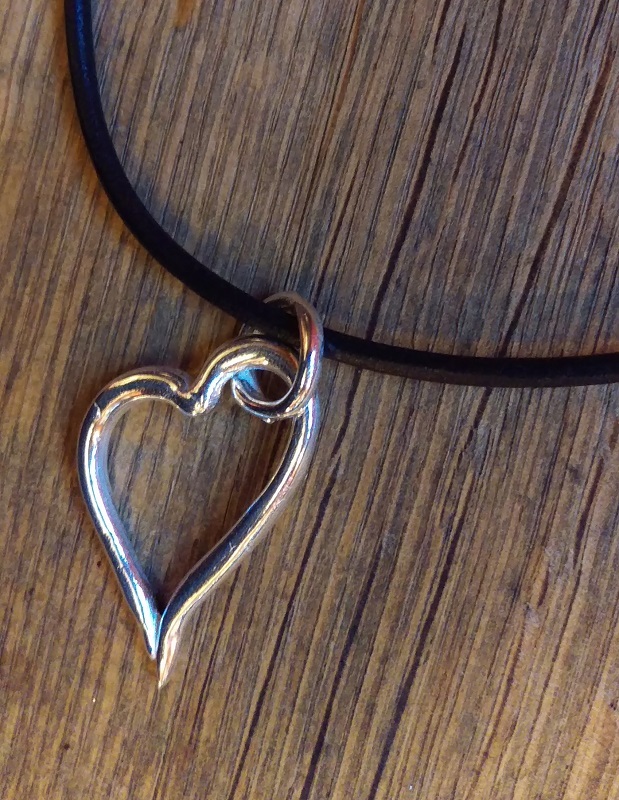 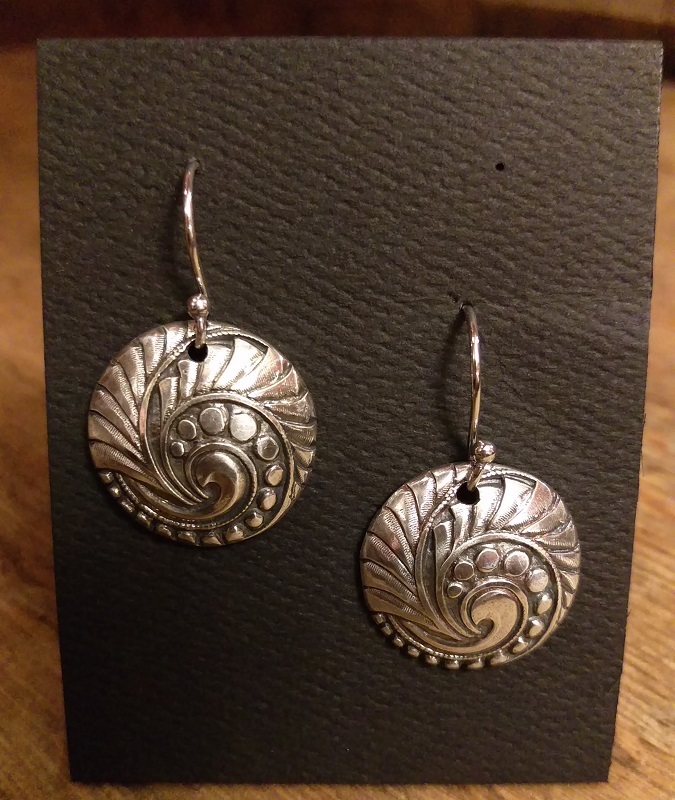 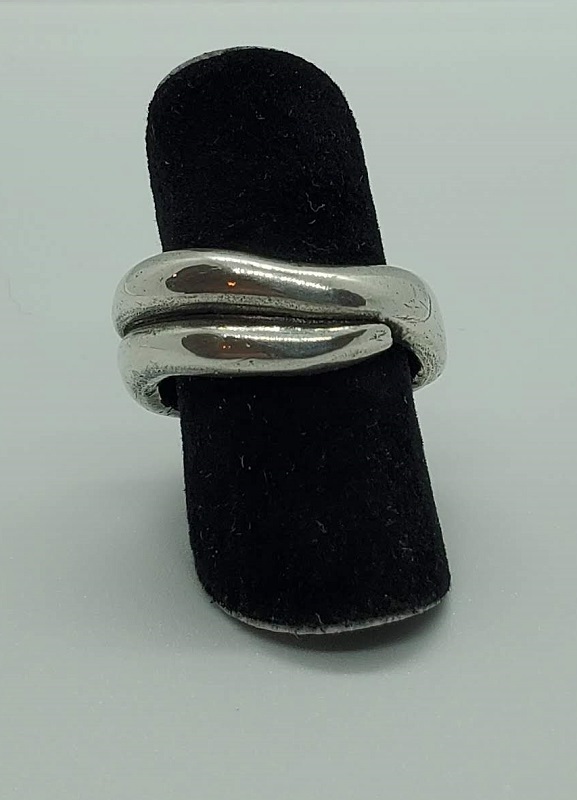 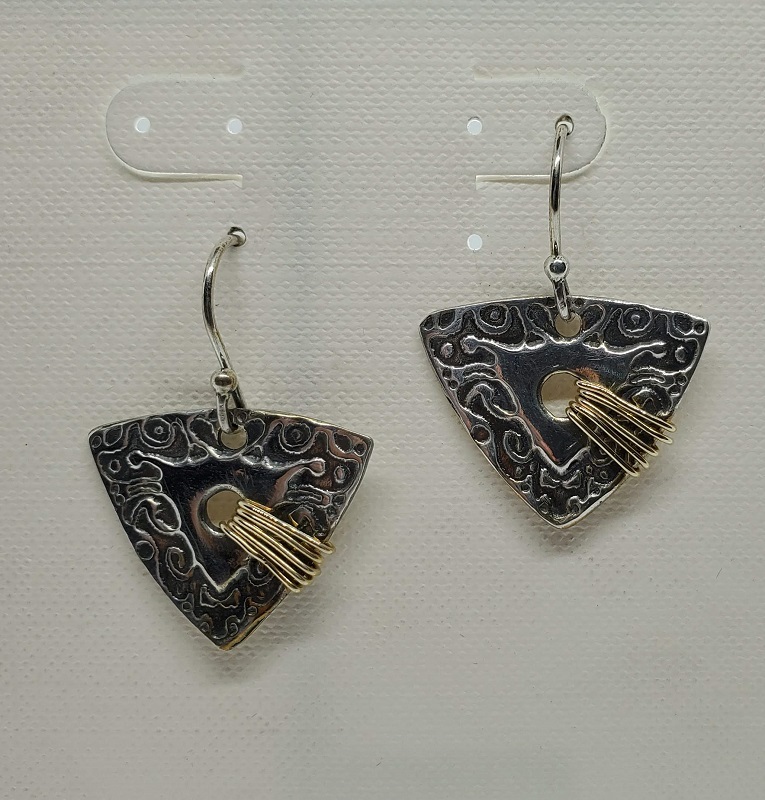 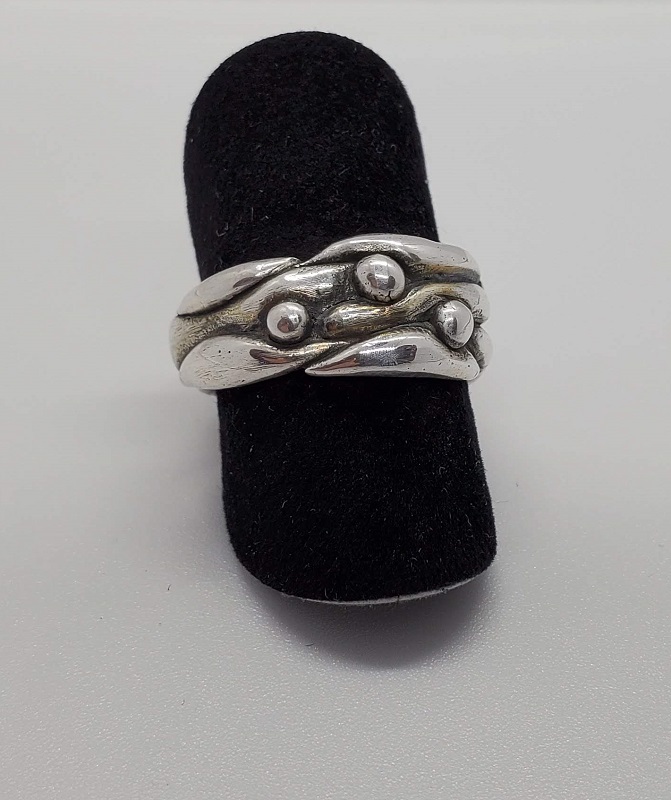 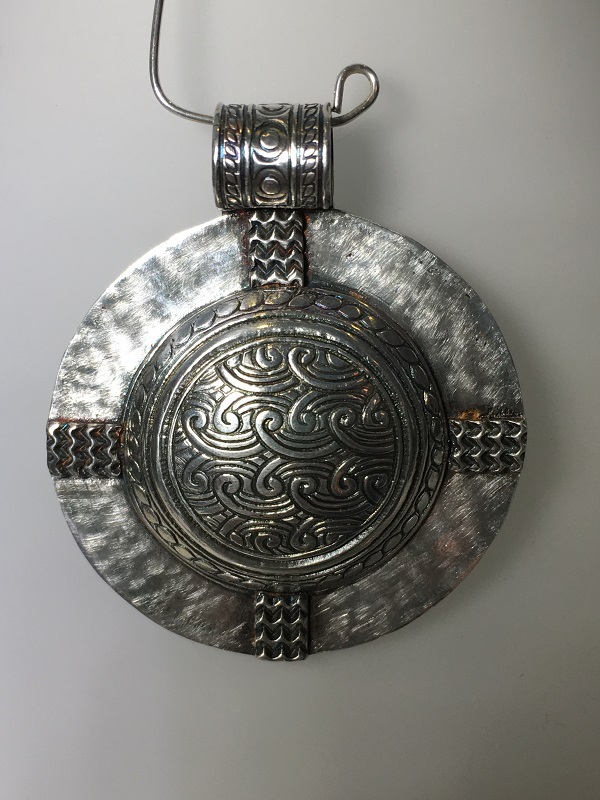 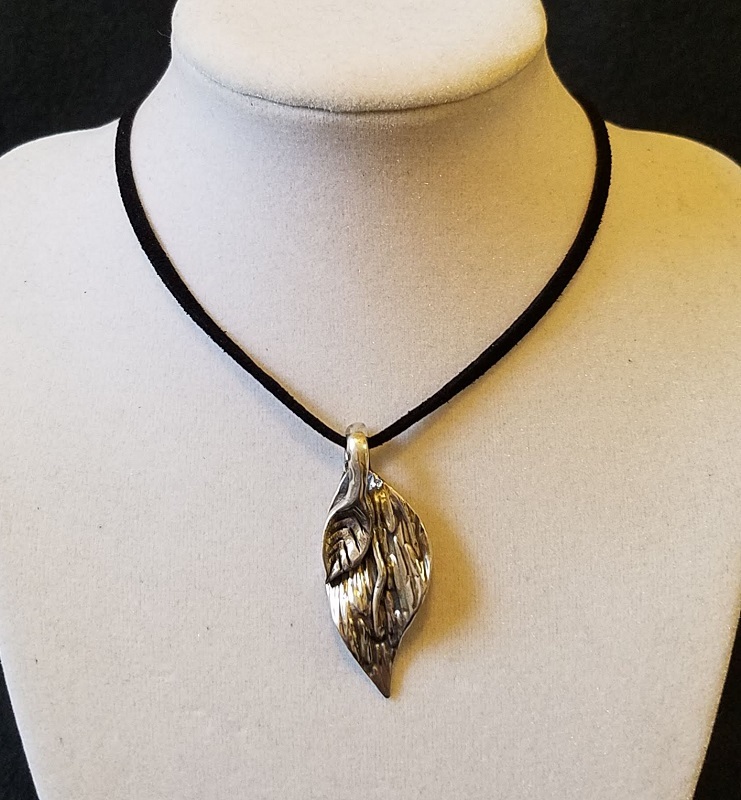 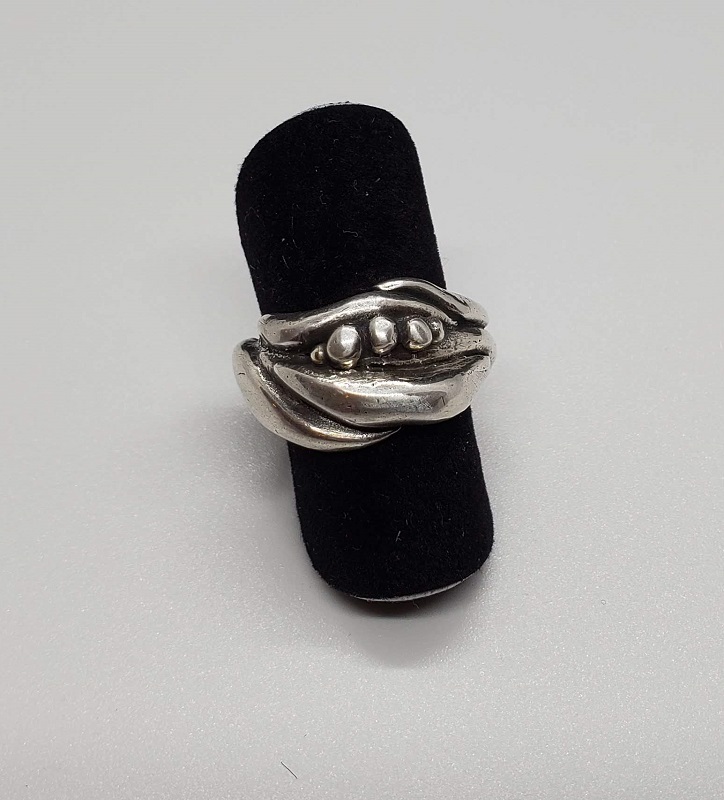 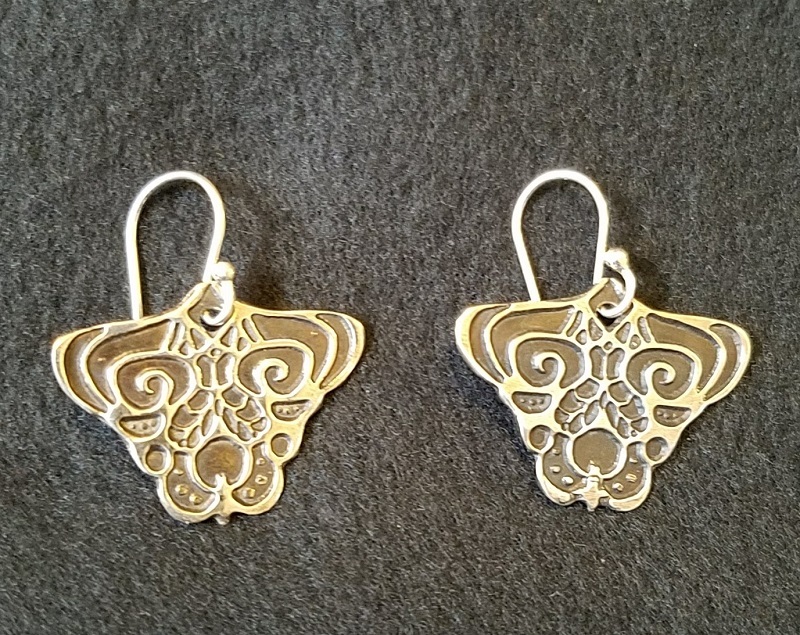 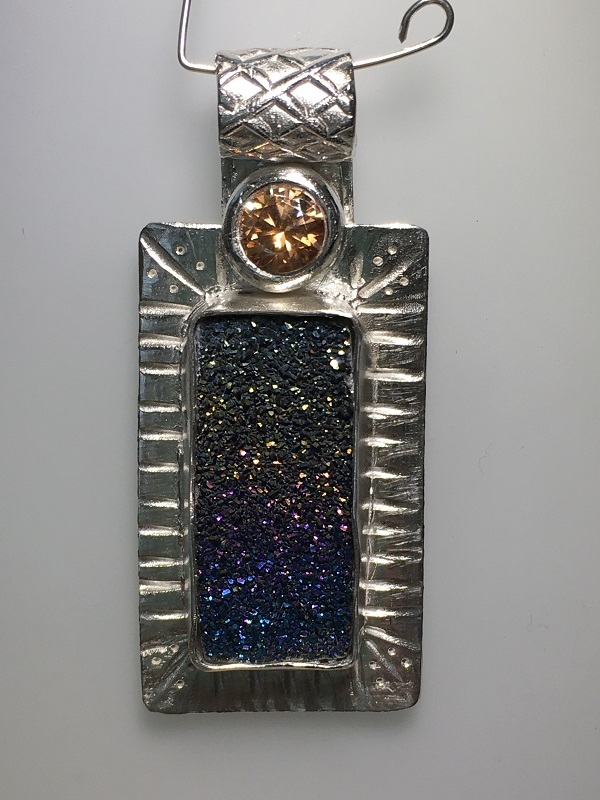 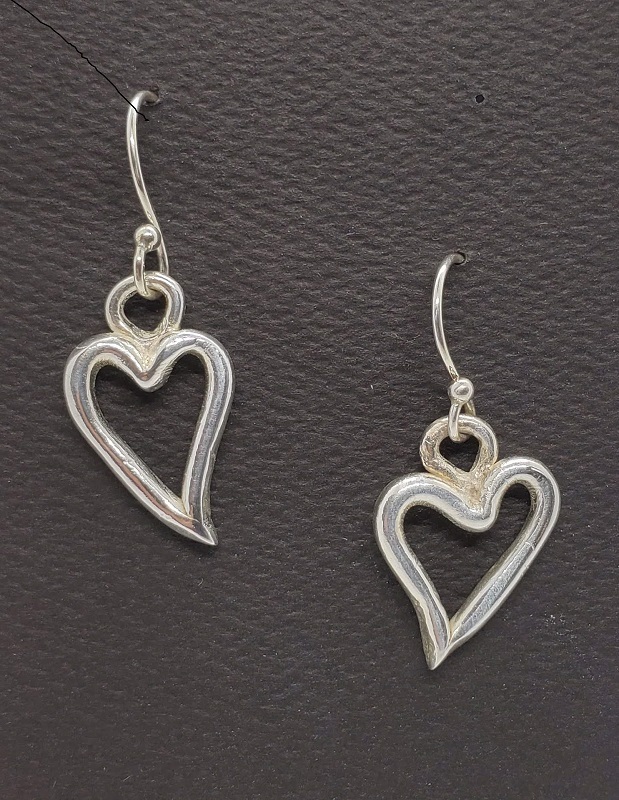 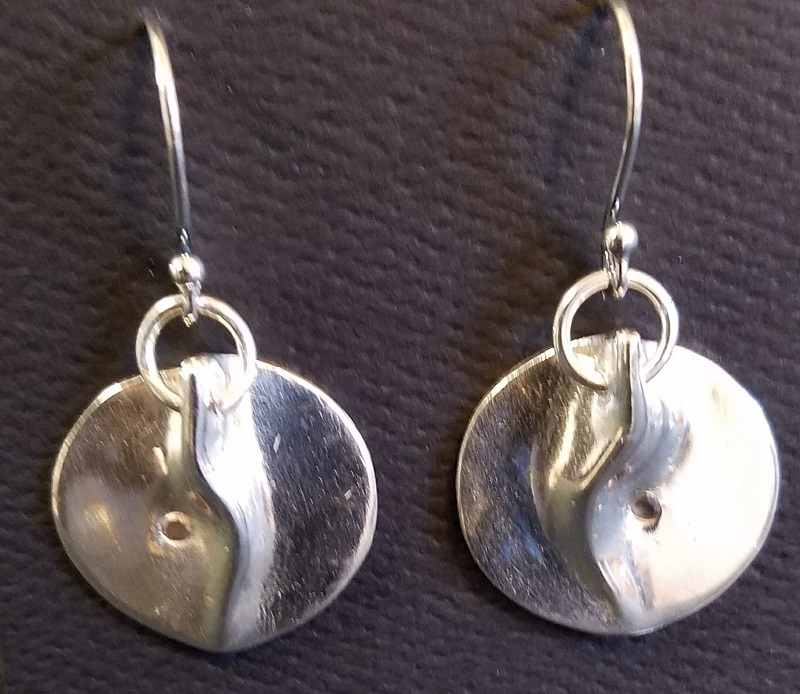 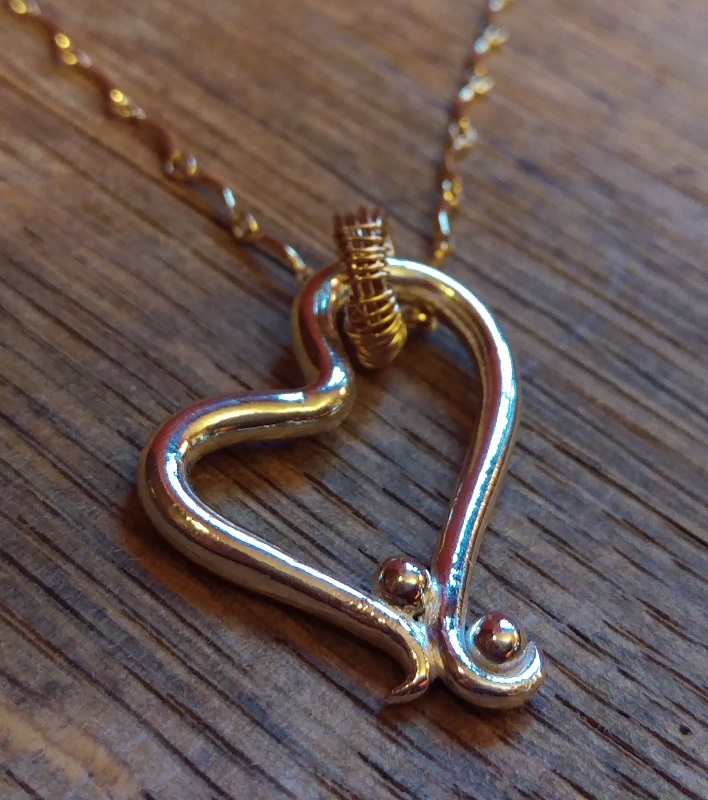 Many well known metal smiths use Metal Clay to enhance their ability to produce texture in a piece, or to make special parts that might otherwise need to be cast. 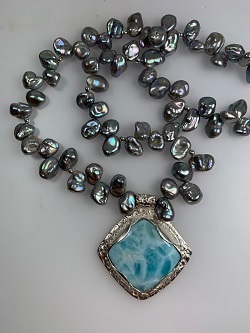 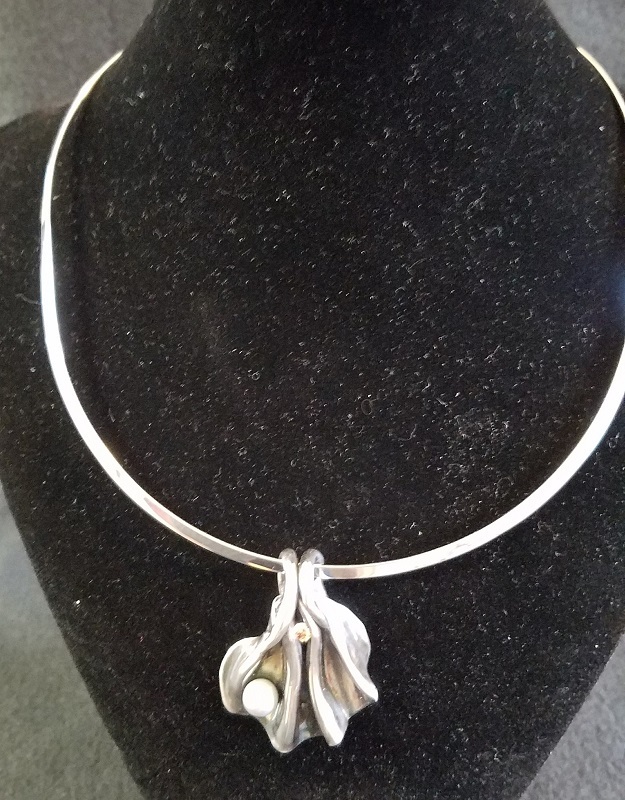 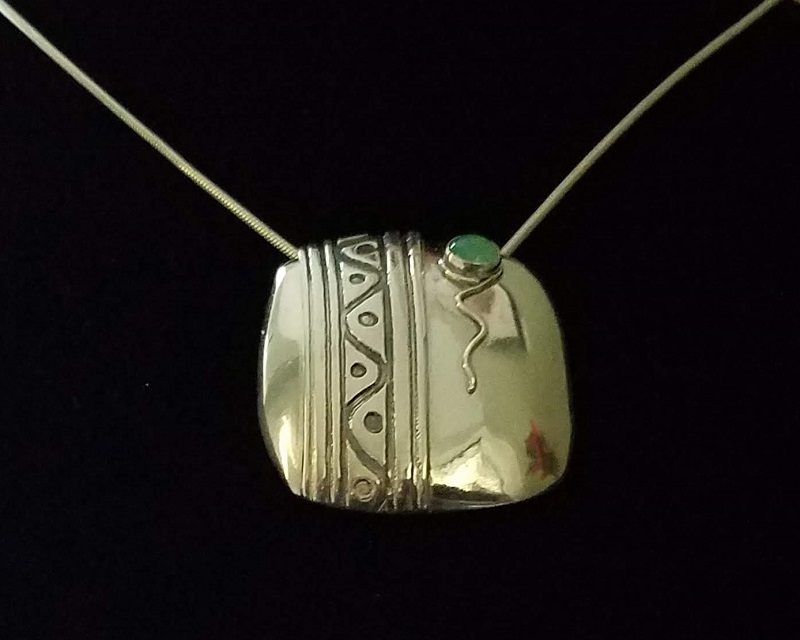 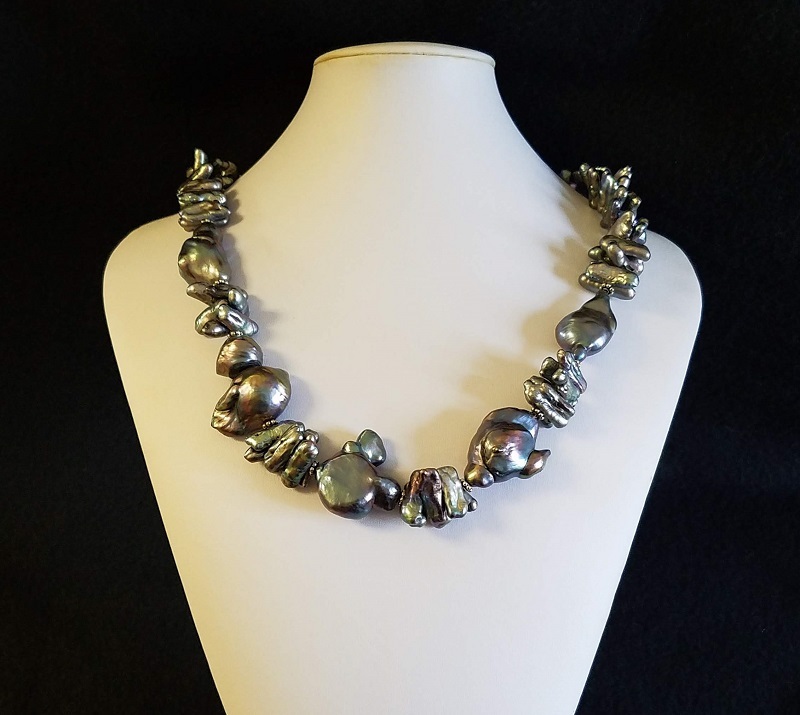 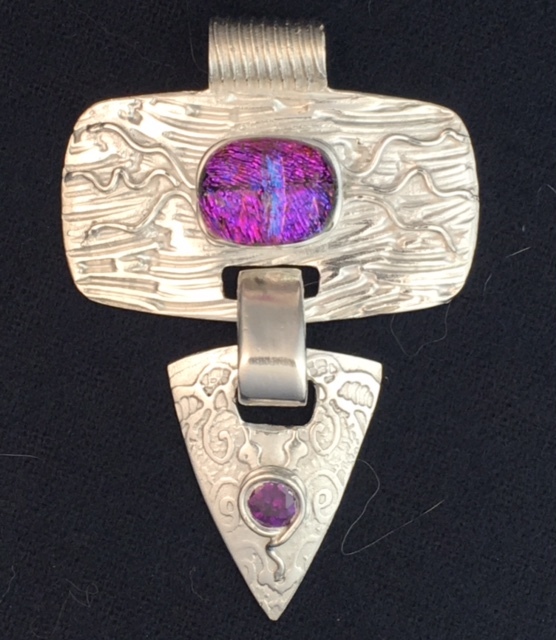 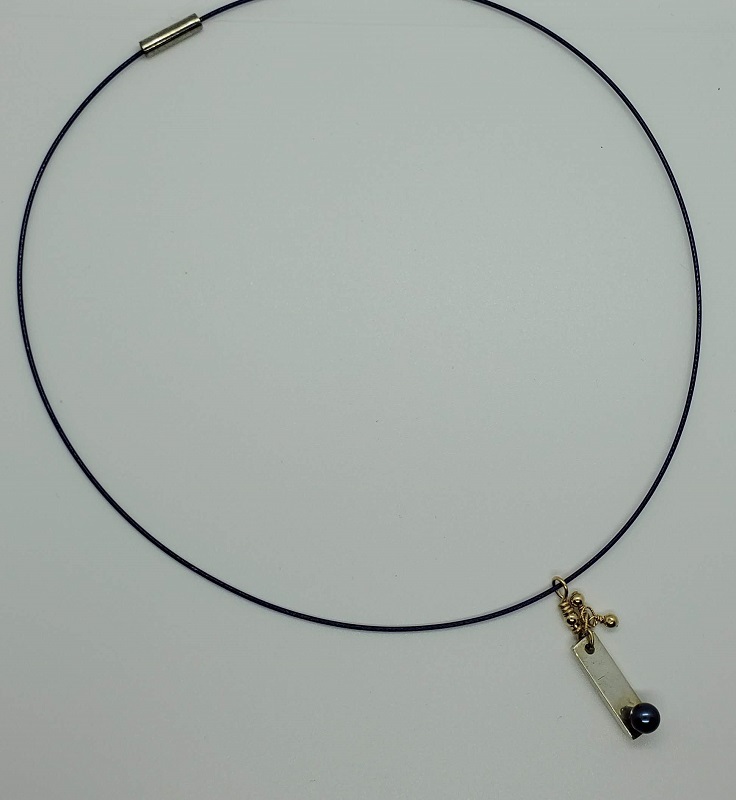 Since starting her jewelry design life she has won several awards, and sold pieces through jewelry stores and galleries, in the U.S., Europe and her native Australia. 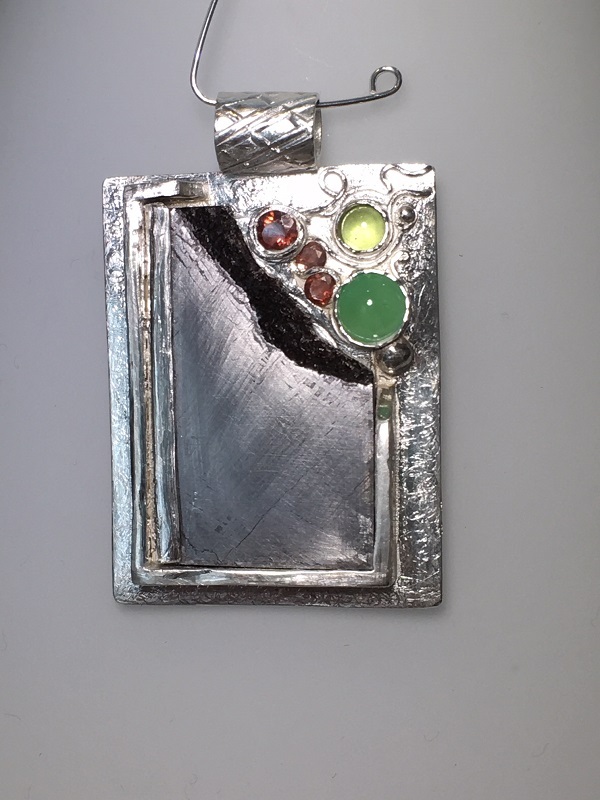 Her studio is a lovely light-filled space looking out on the garden, and she shares it with Chris, who paints wonderful water colors. 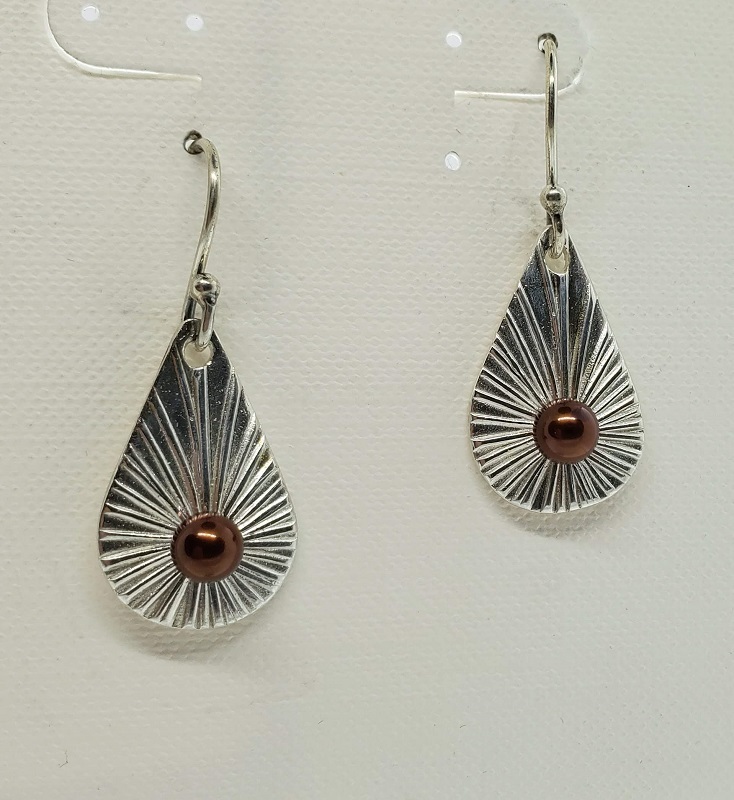 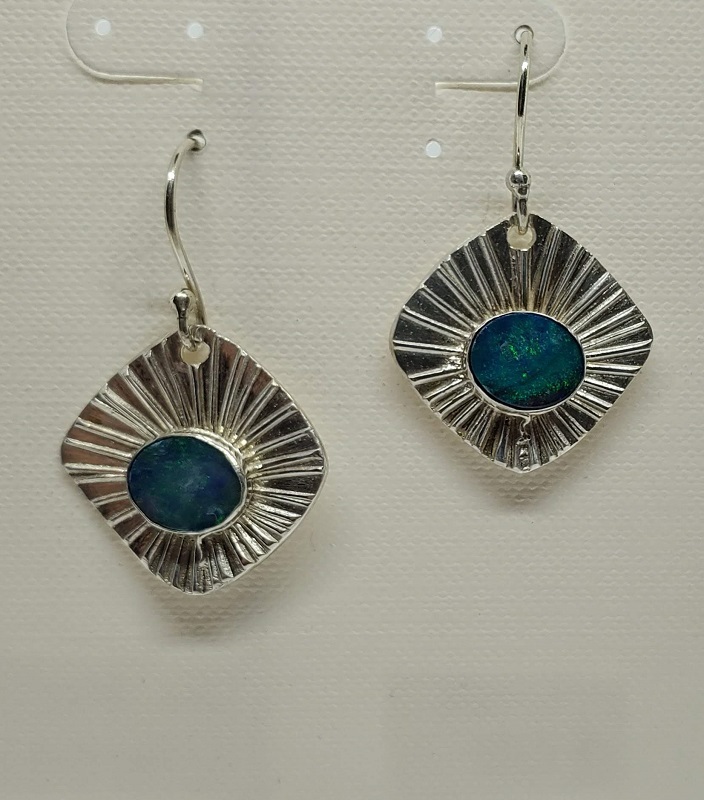 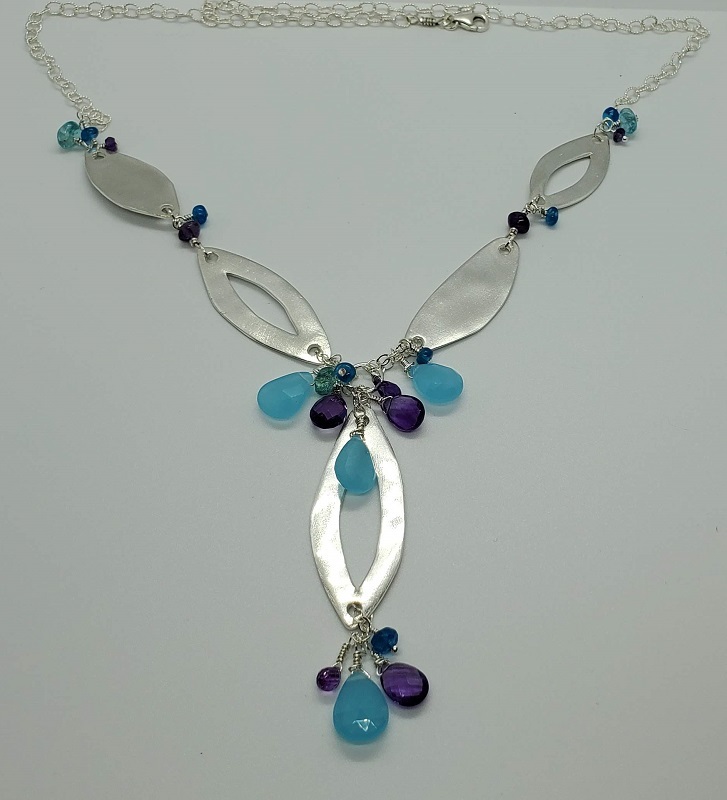 Each piece she makes is totally one of a kind, with a lot of attention to finish and wearability. 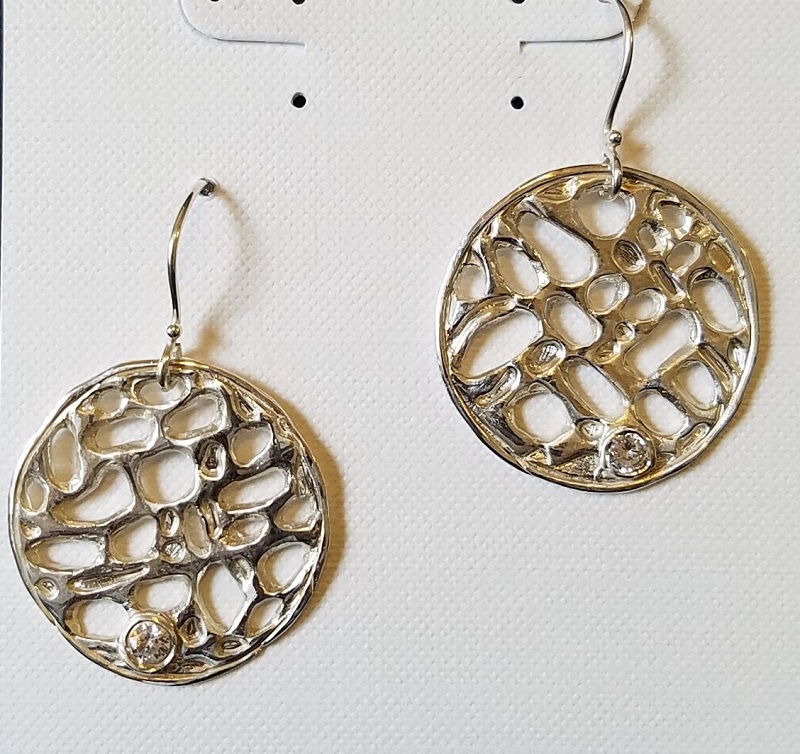 Her designs range from intricate and romantic through modern and elegant, and her aim every time is to make something that becomes the "go to" piece for many occasions!